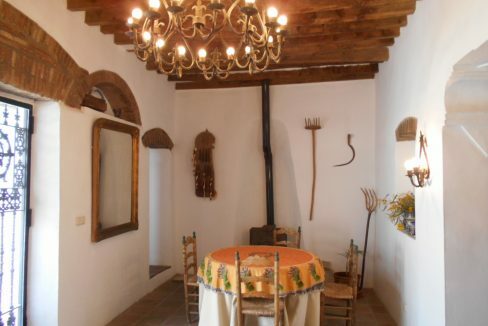 A luxury village house which is over 300 years old, built on the site of the first dwelling of Alcaucin, it has awesome panoramic mountain, countryside and Lake views. 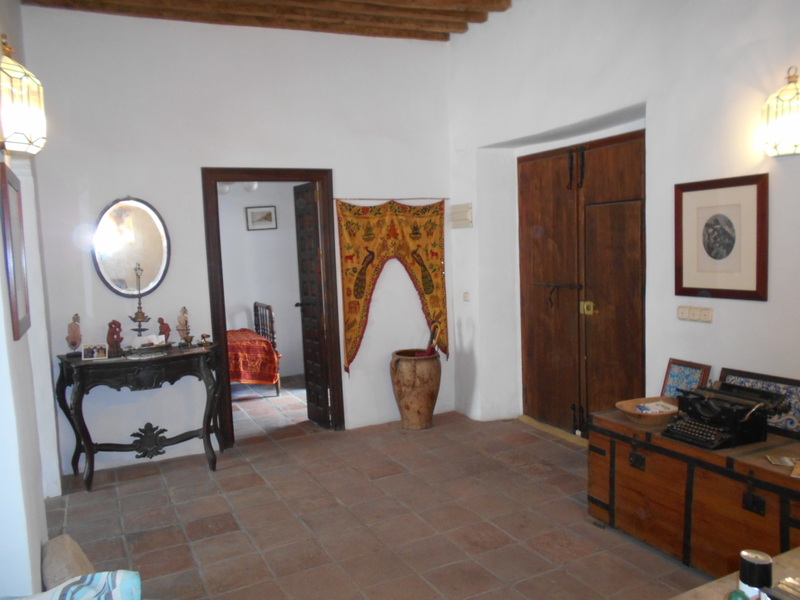 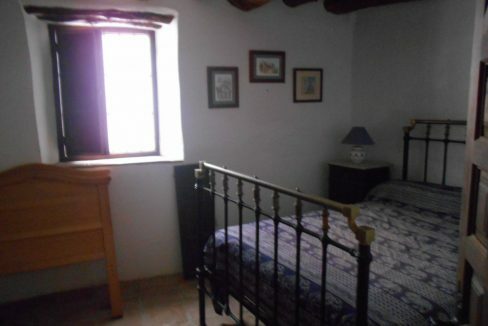 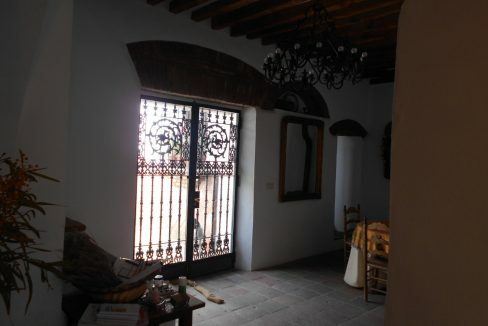 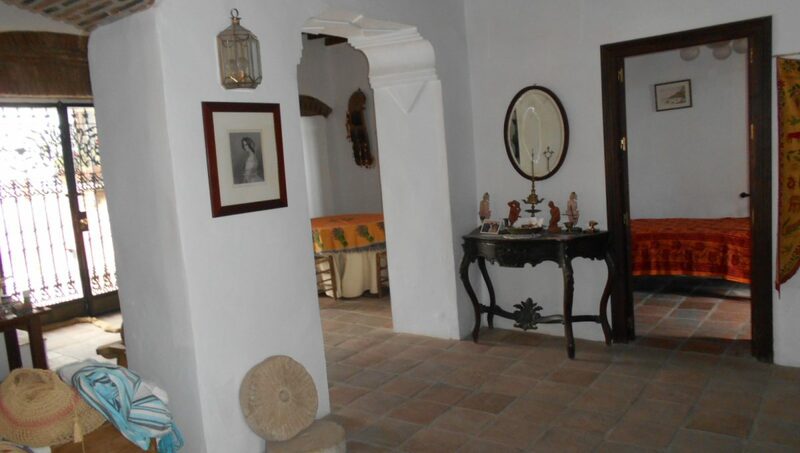 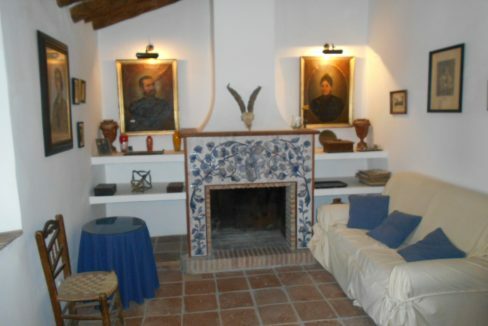 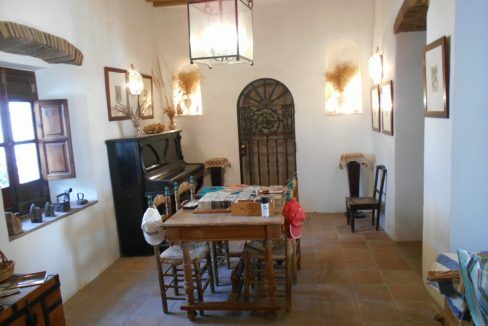 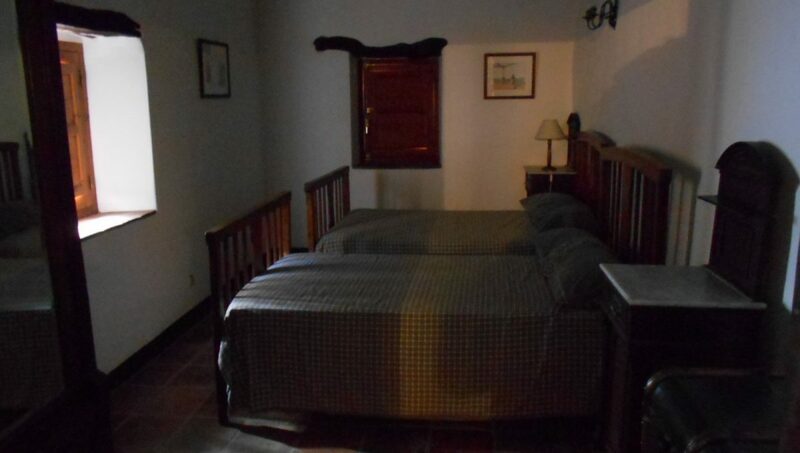 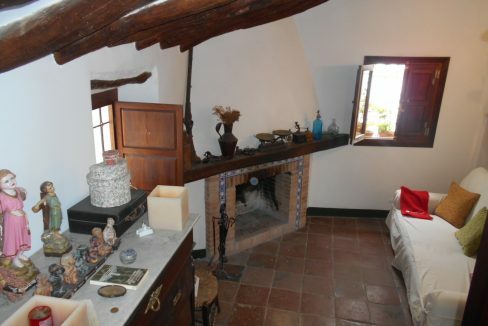 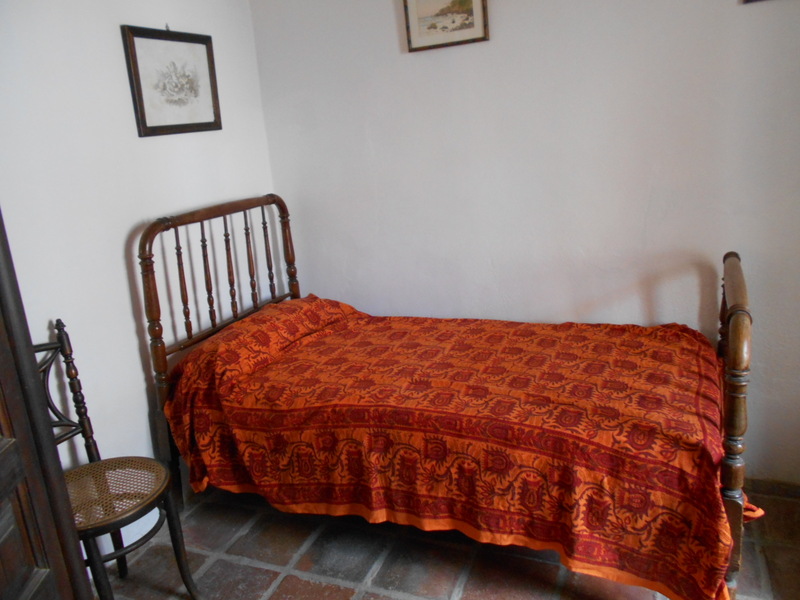 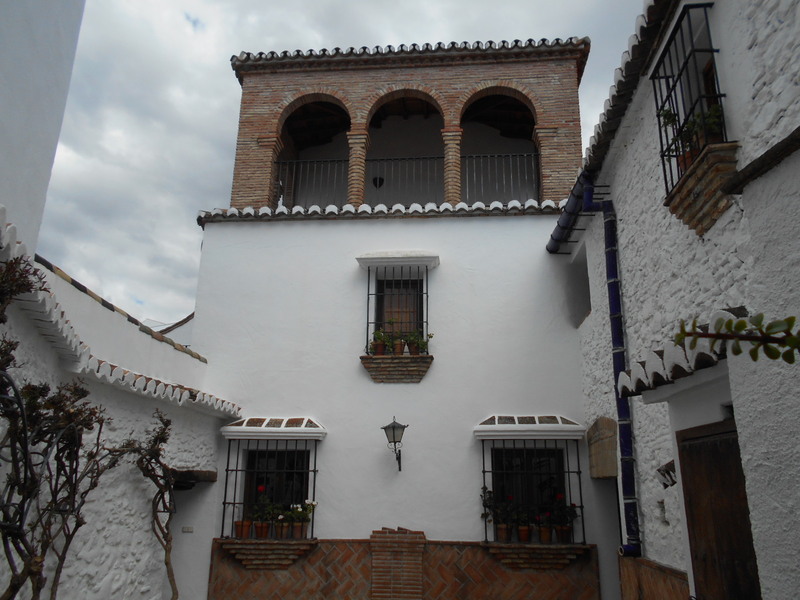 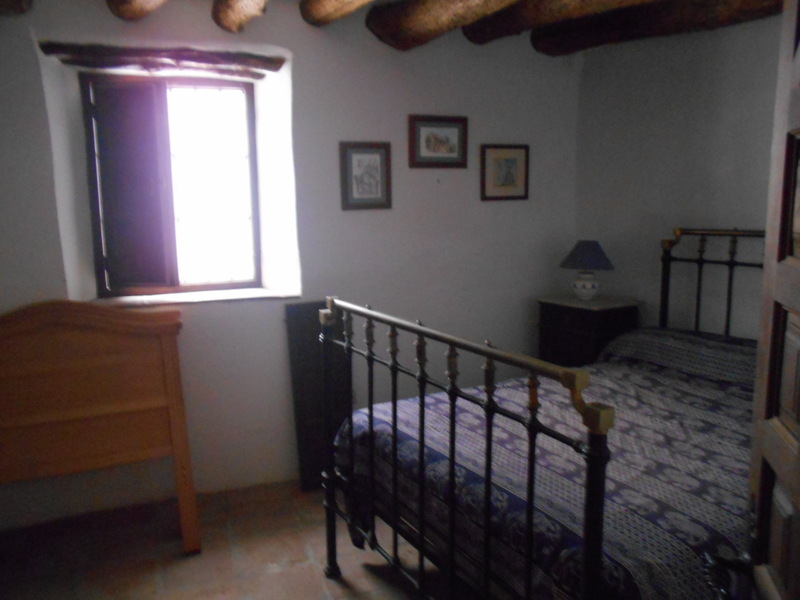 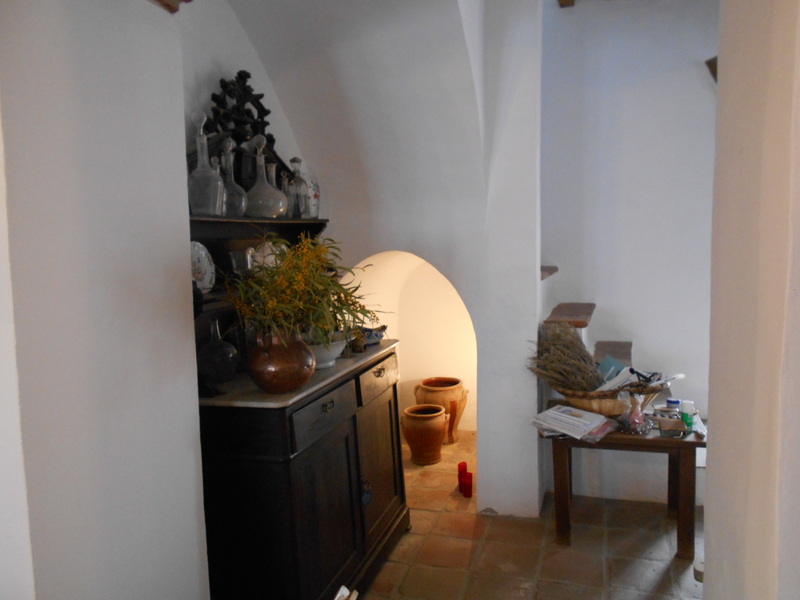 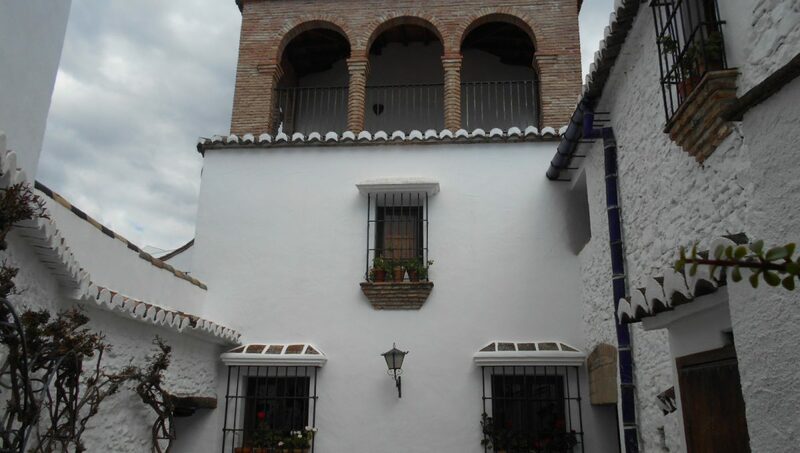 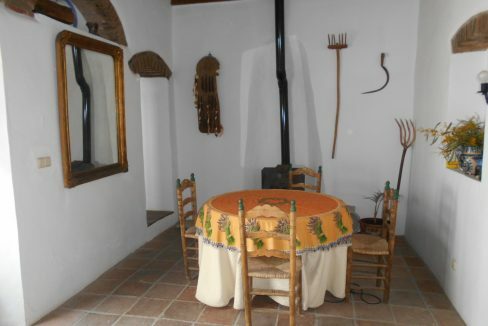 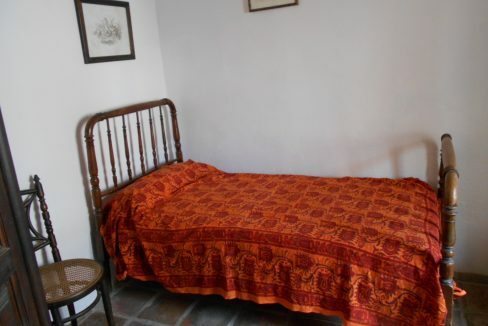 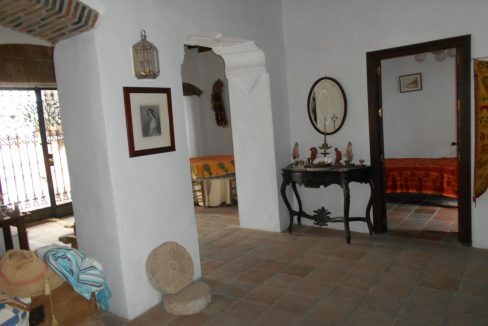 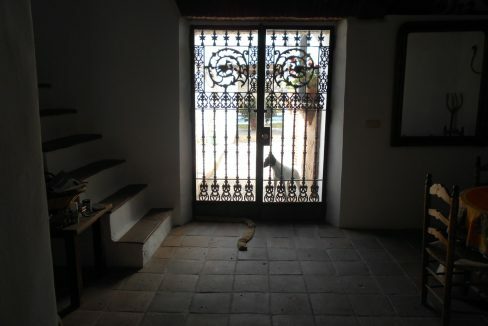 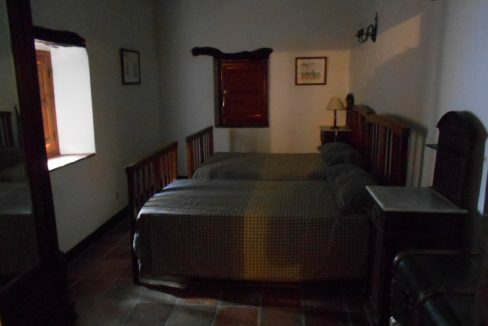 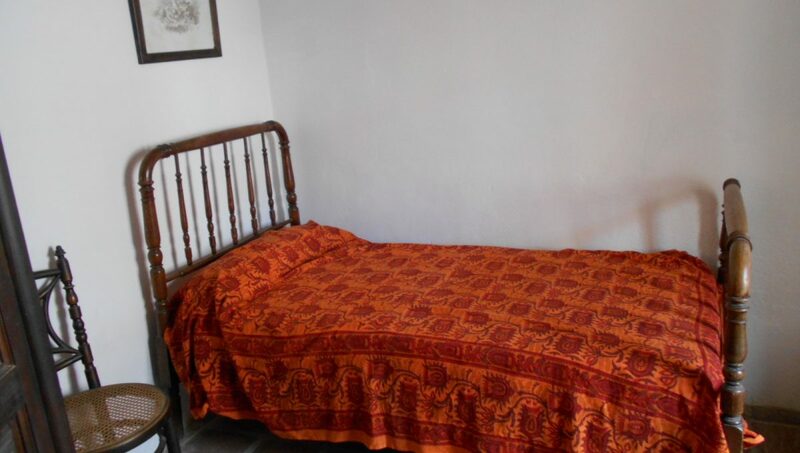 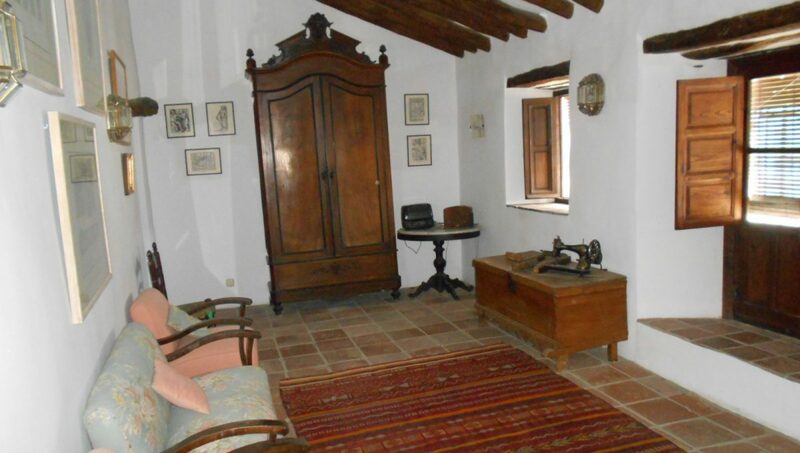 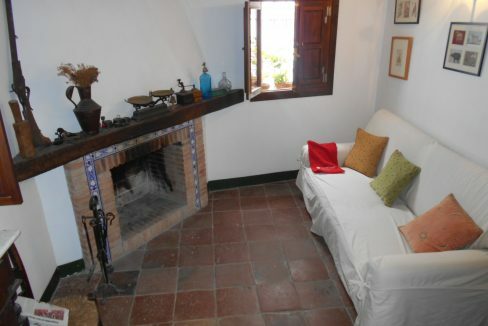 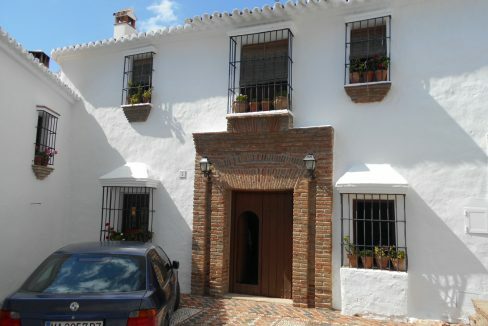 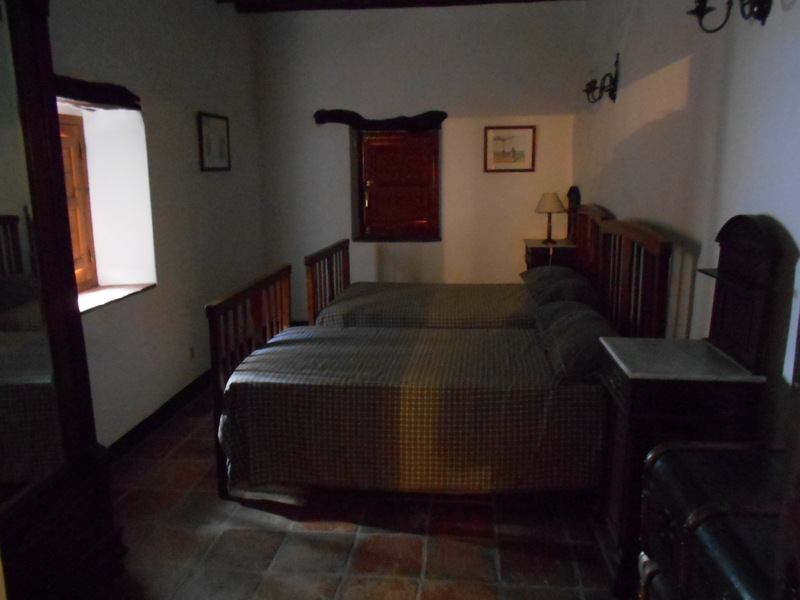 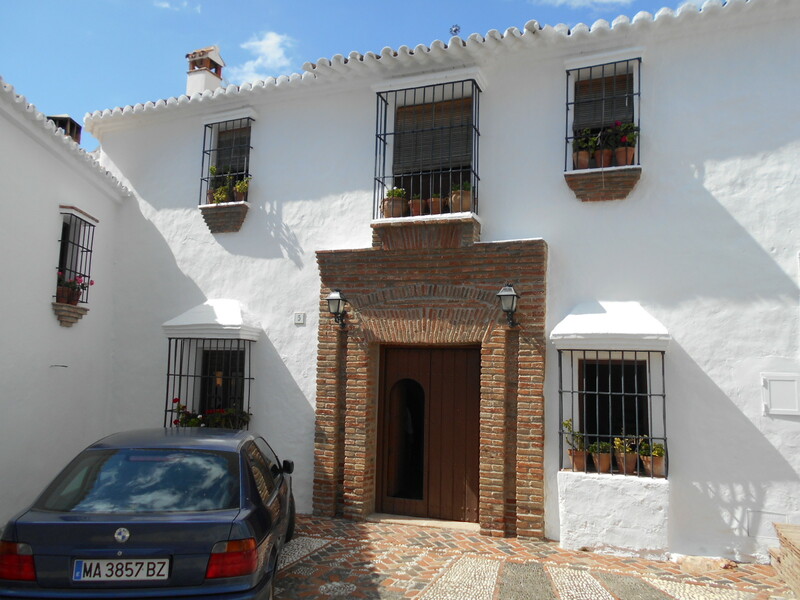 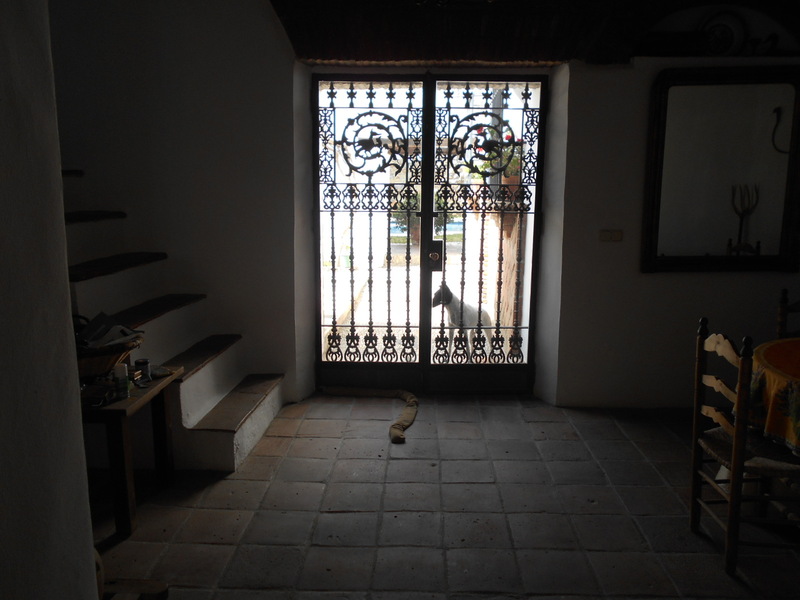 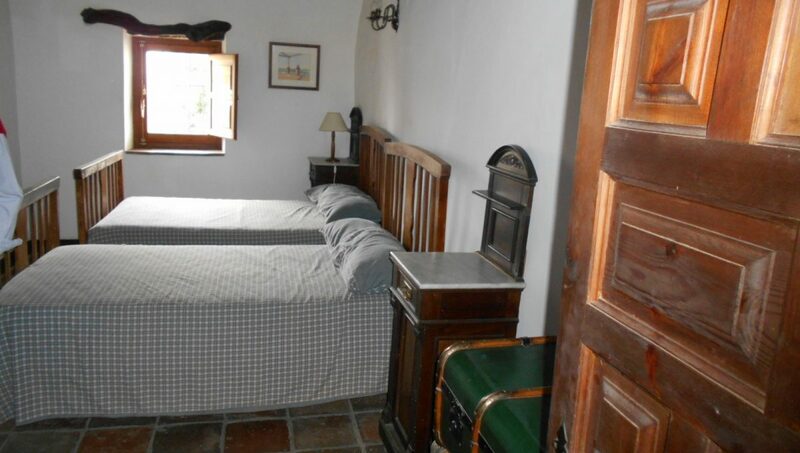 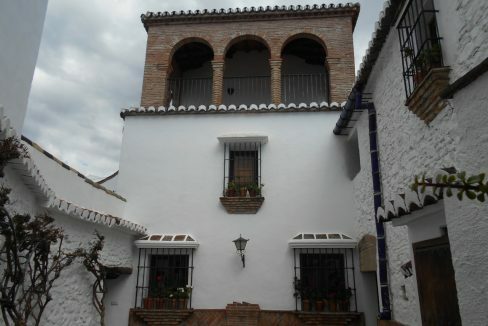 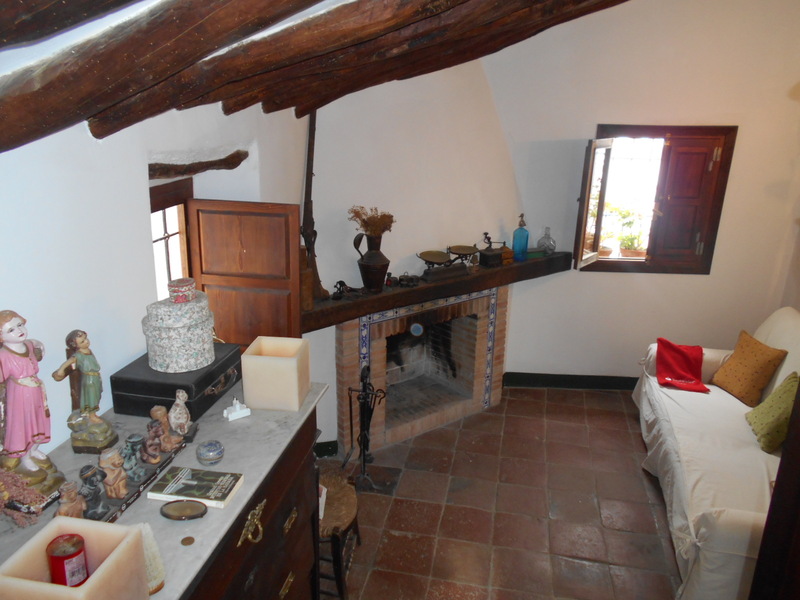 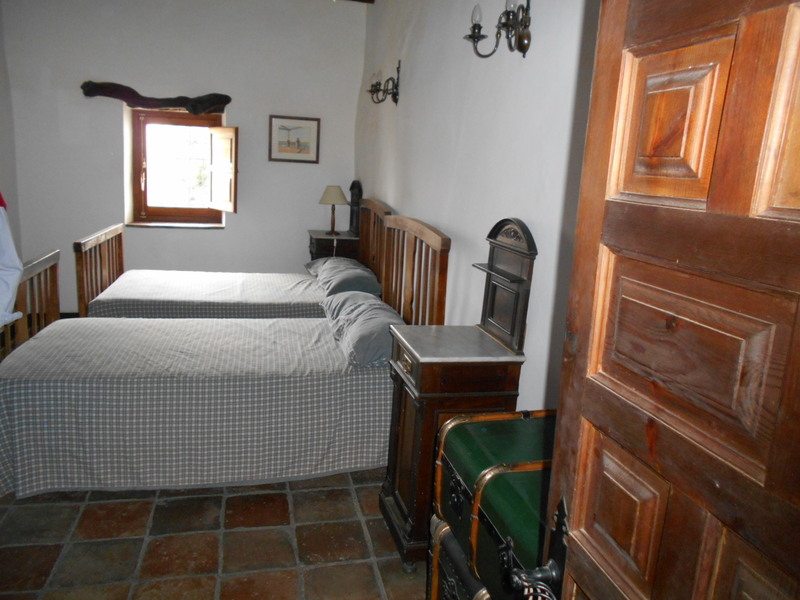 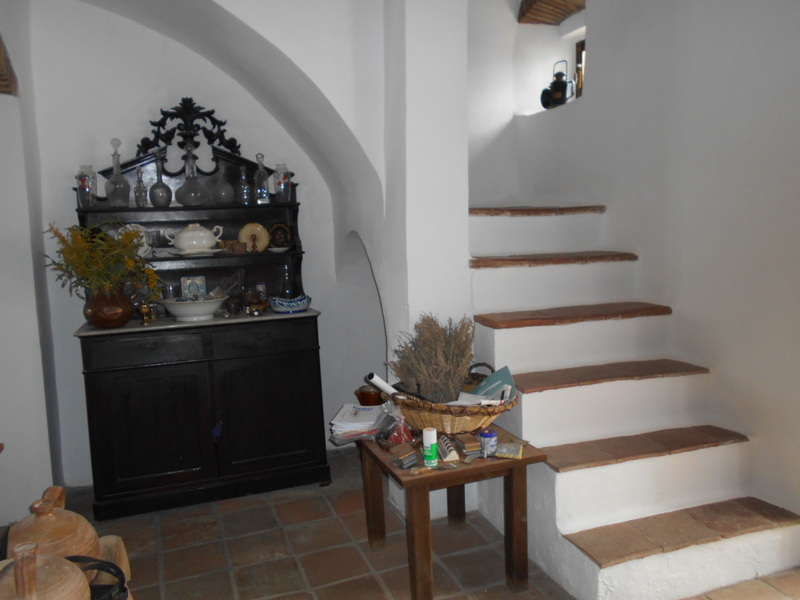 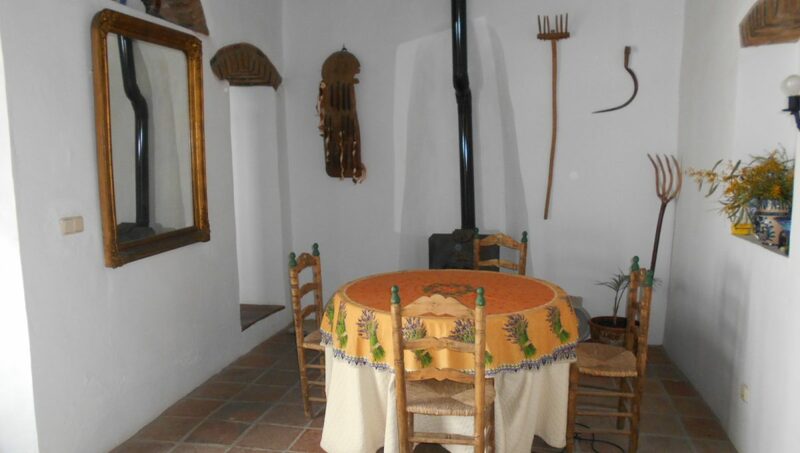 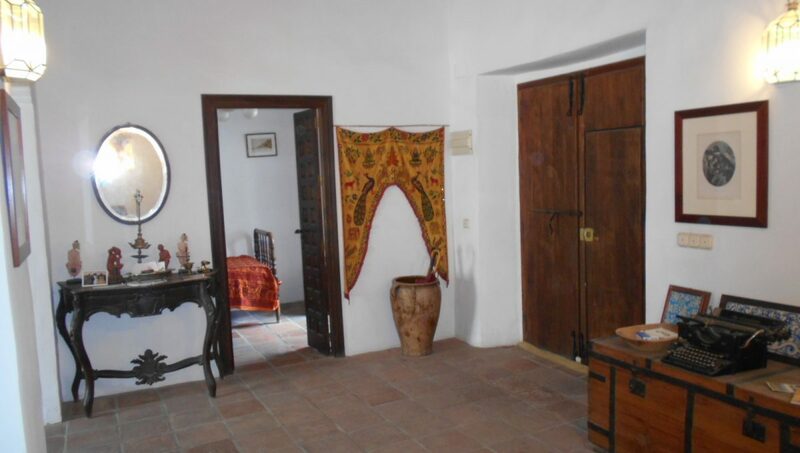 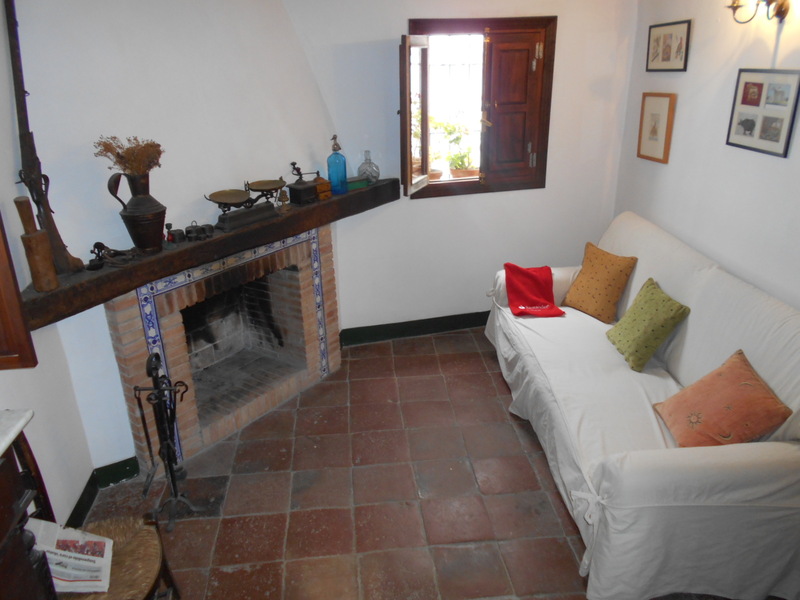 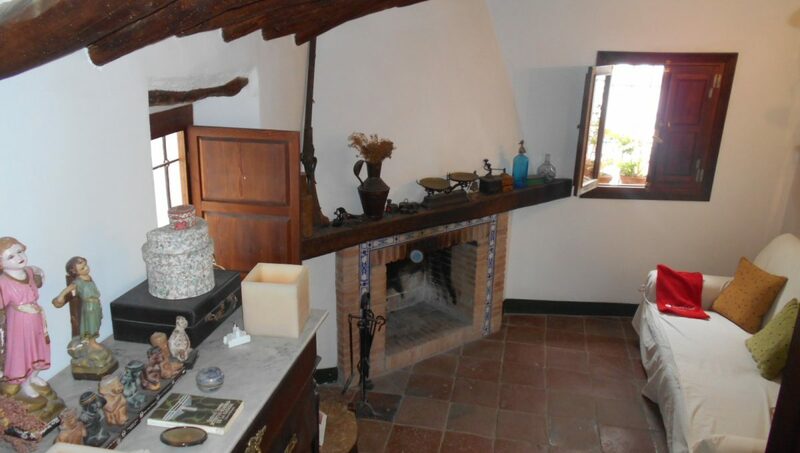 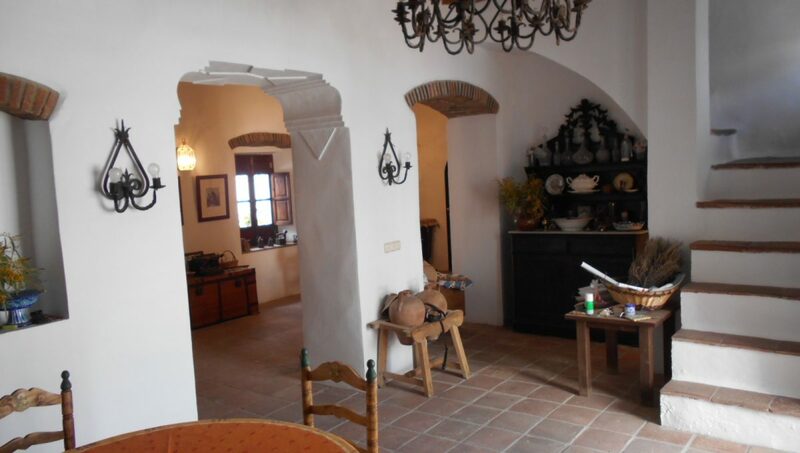 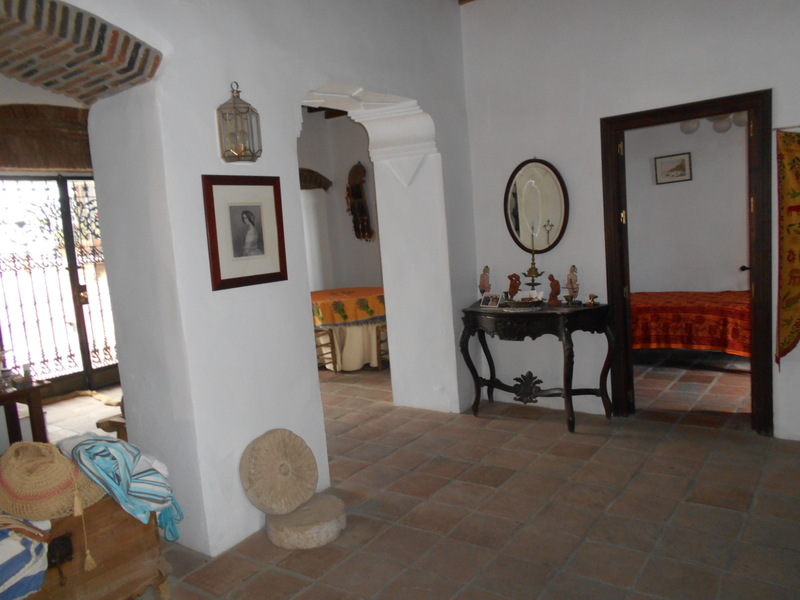 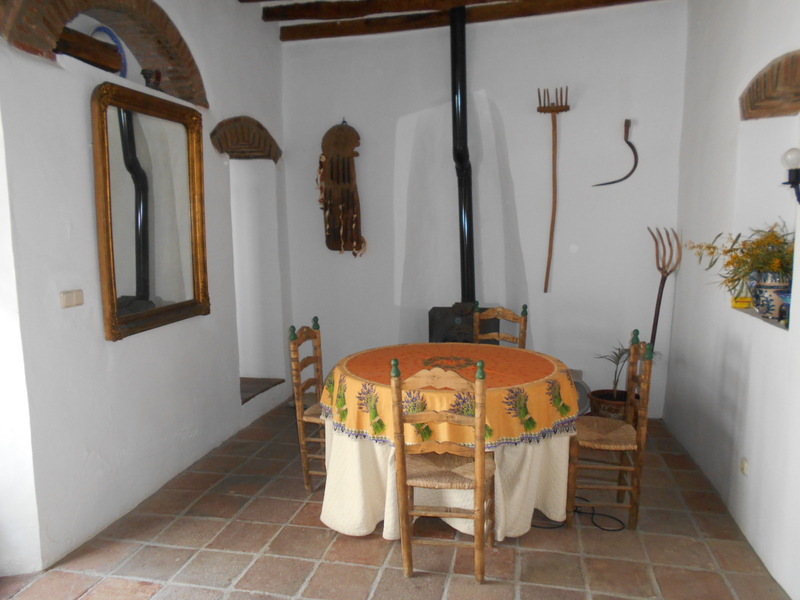 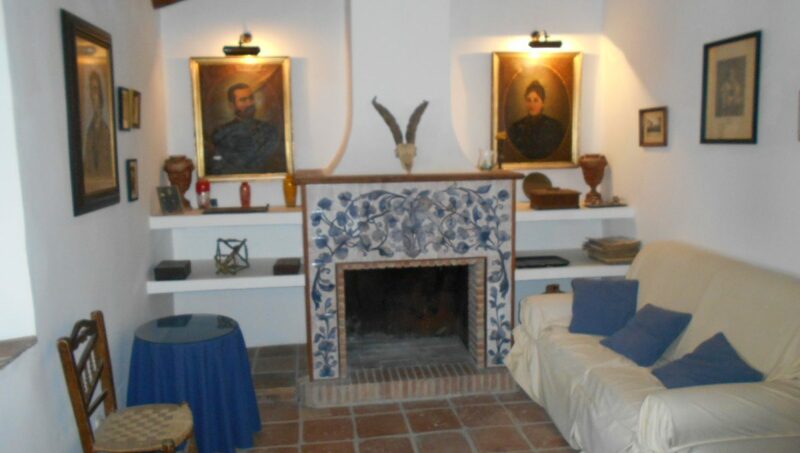 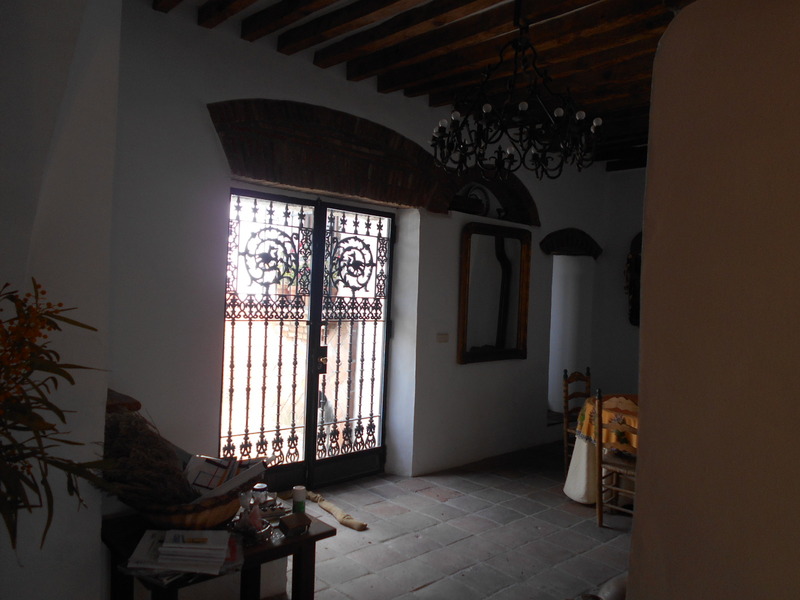 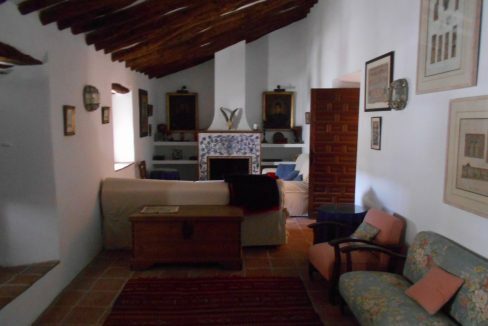 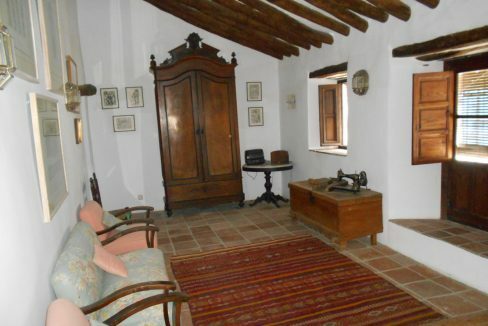 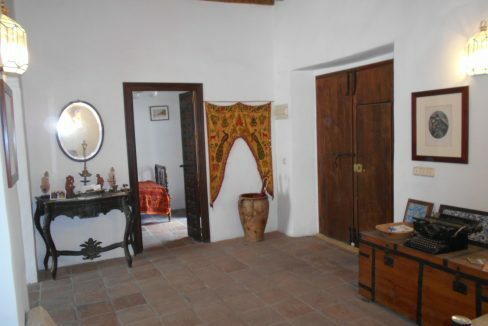 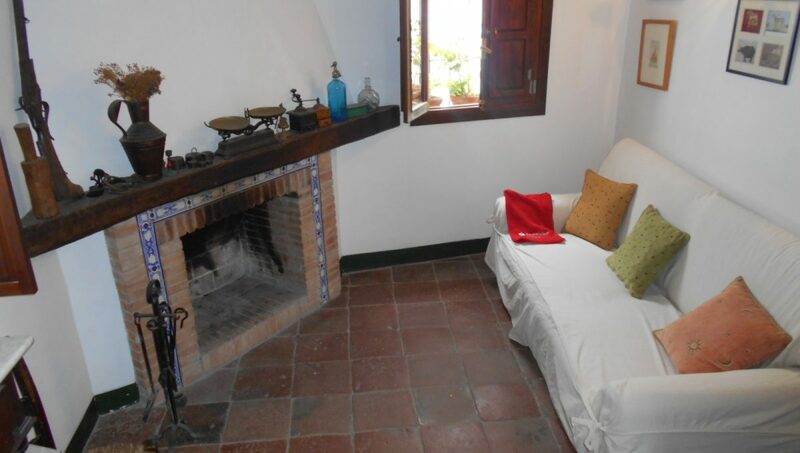 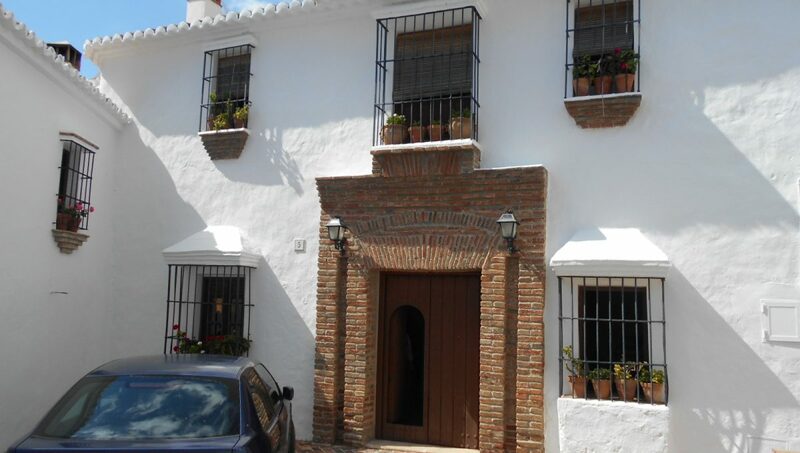 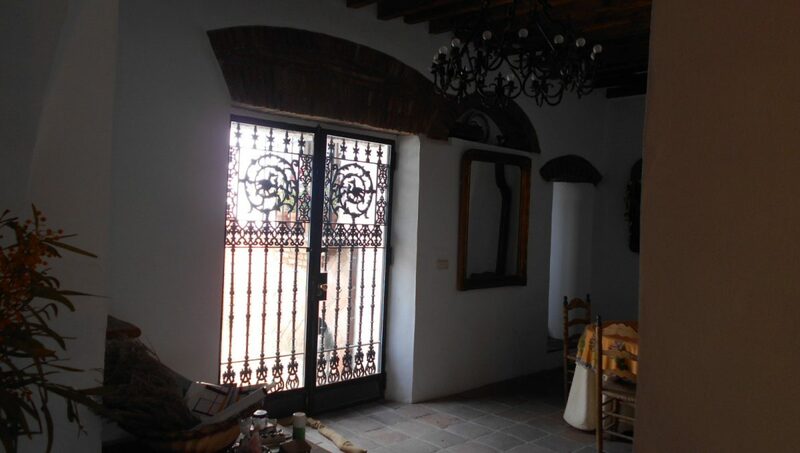 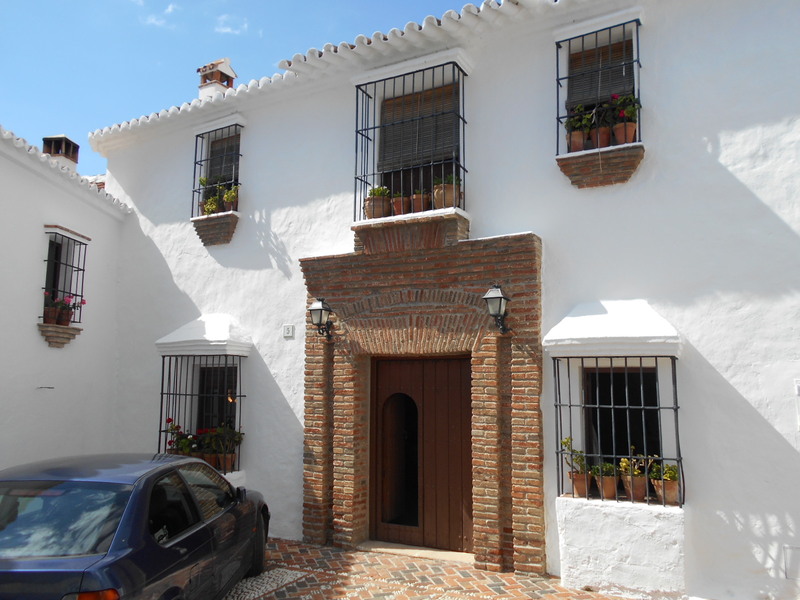 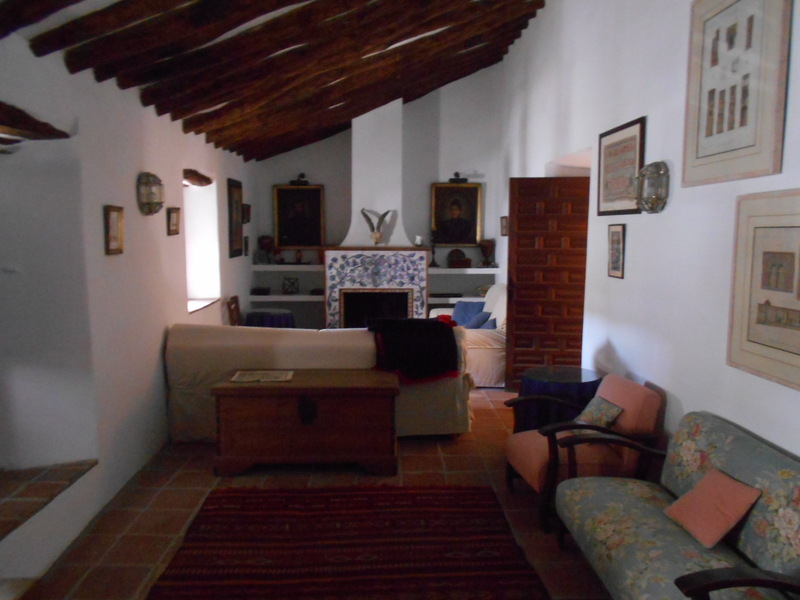 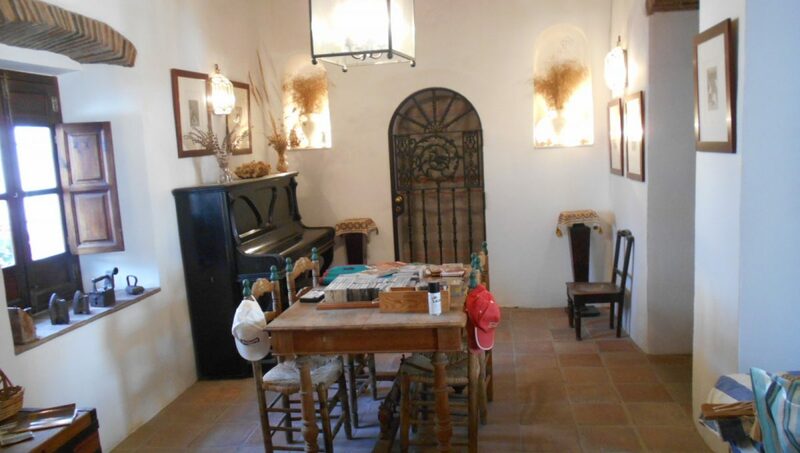 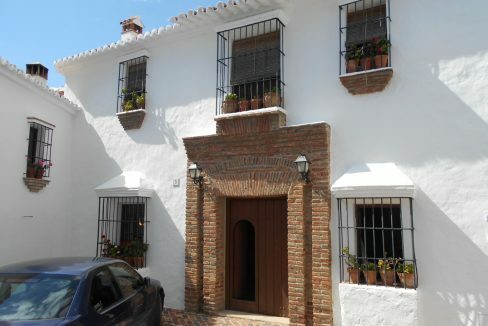 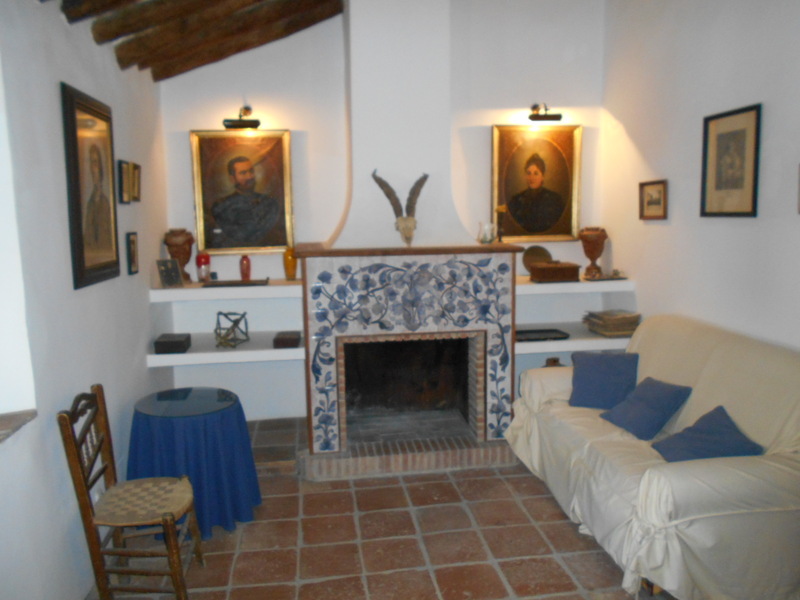 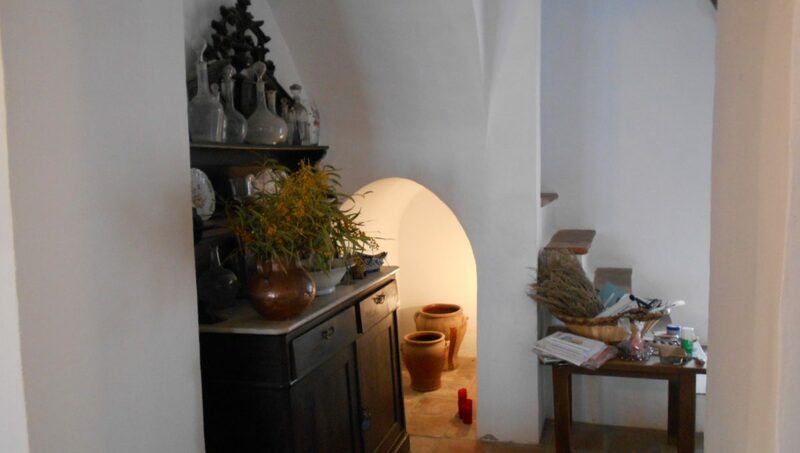 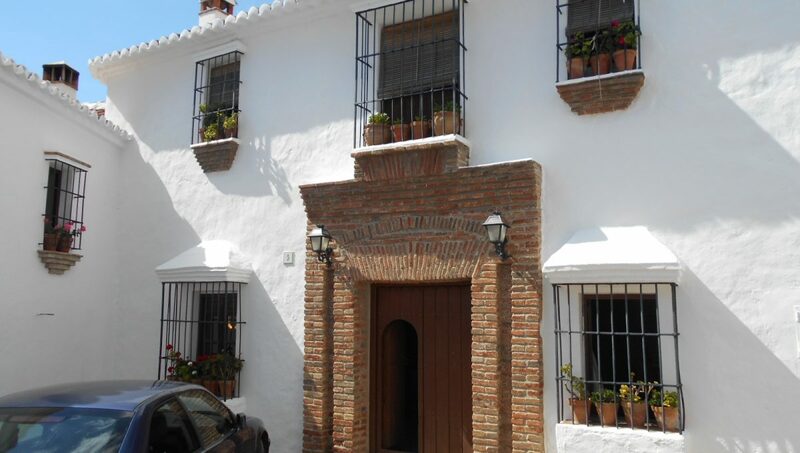 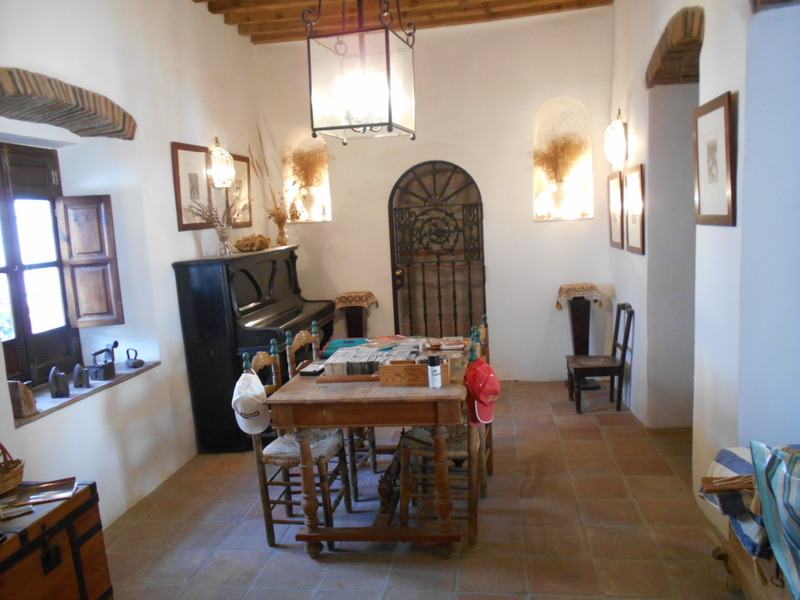 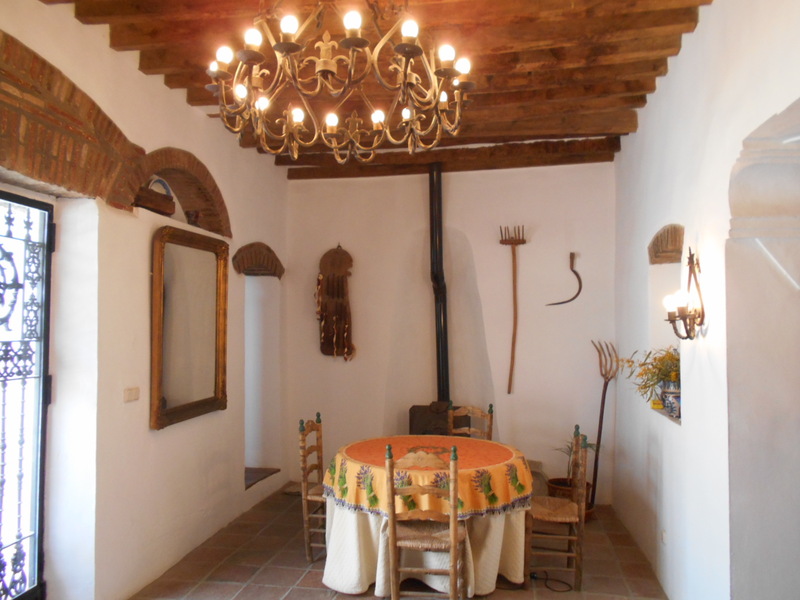 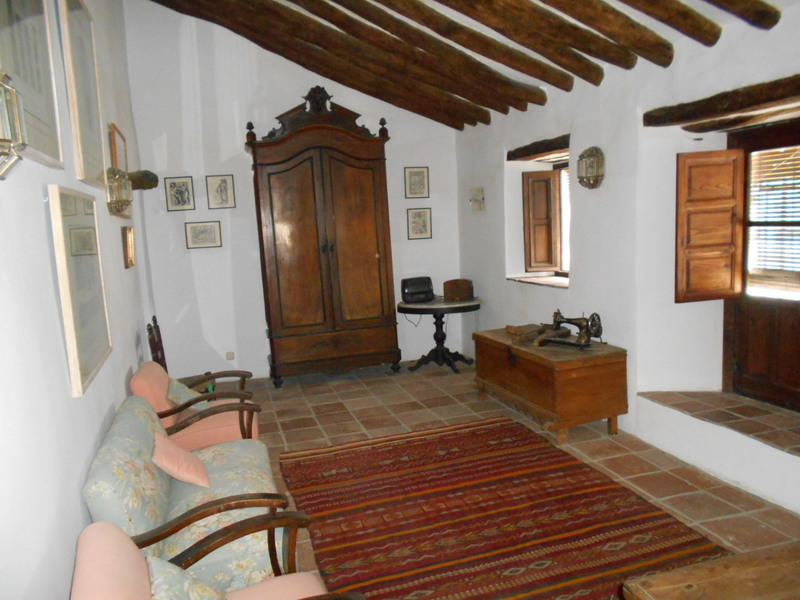 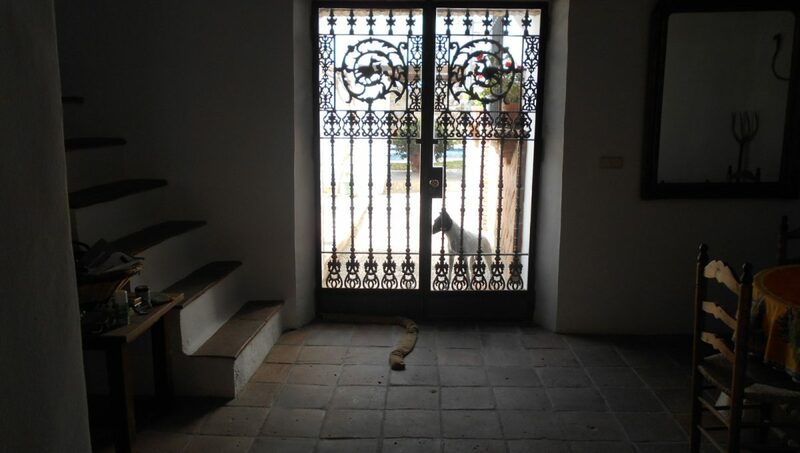 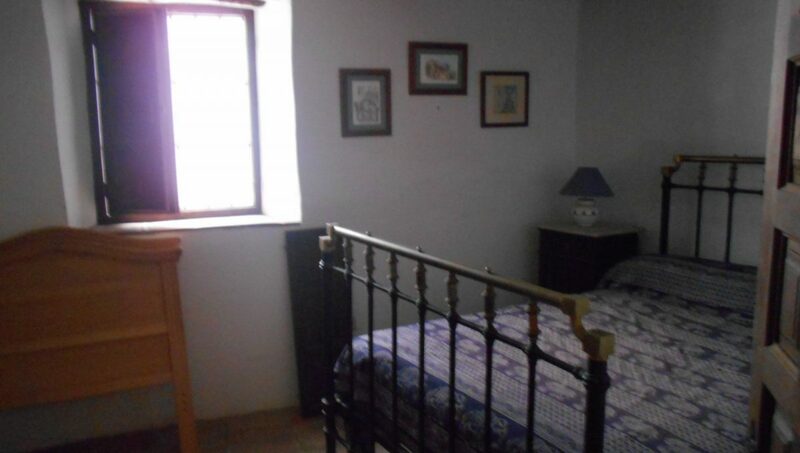 A deceptively spacious village house with many beautiful features and lovely antique furniture too. 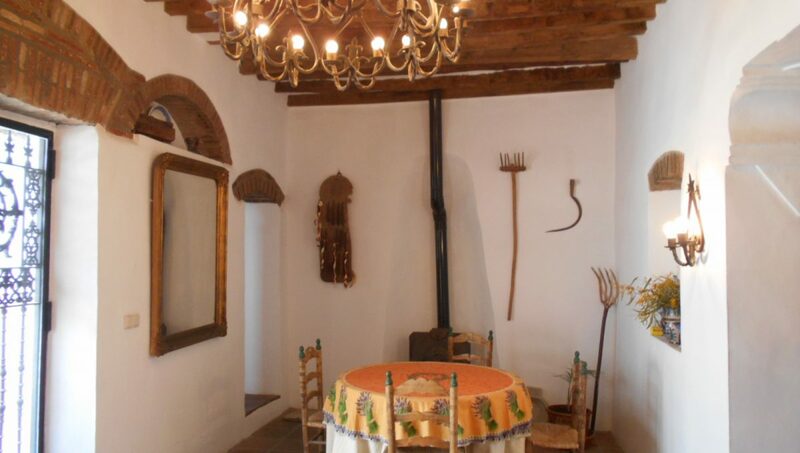 This house has a feeling of grandour. 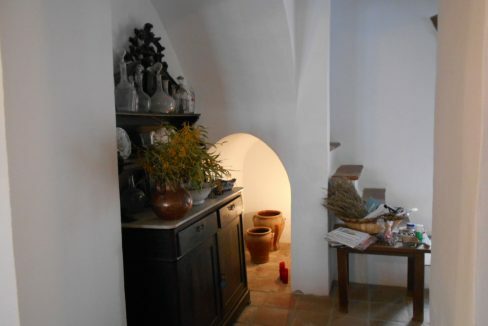 Private parking area to the front of the property for 2 cars, with large double wooden doors opening up into the beamed entrance hall where there is a single bedroom/office, dining room with and centre pillars, steps upto the rather special kitchen, decorated in a simple Arab style blue and white, this is a cooks delight and a storeroom. 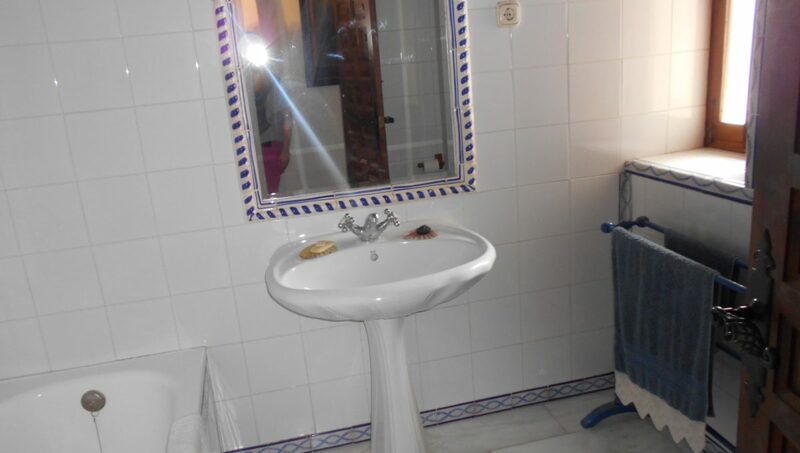 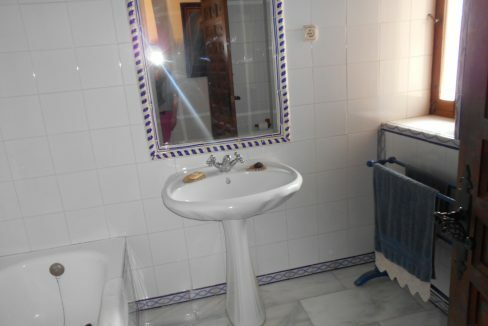 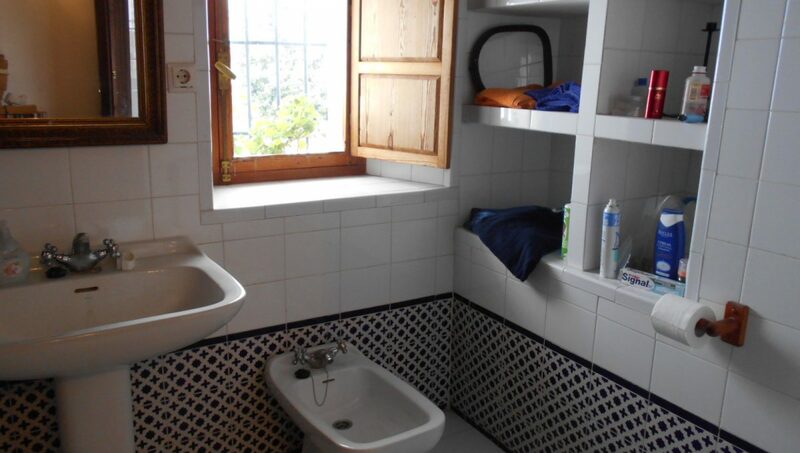 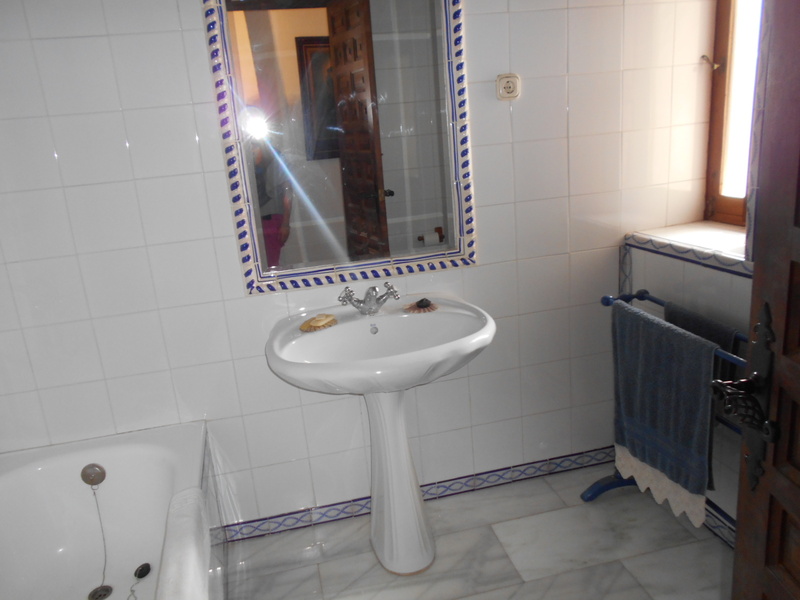 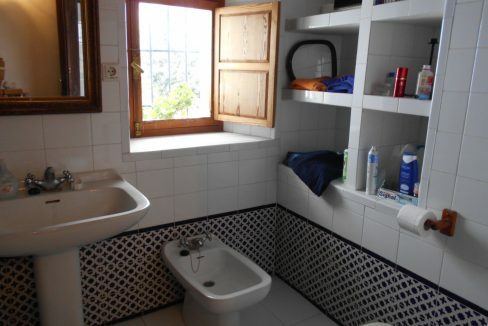 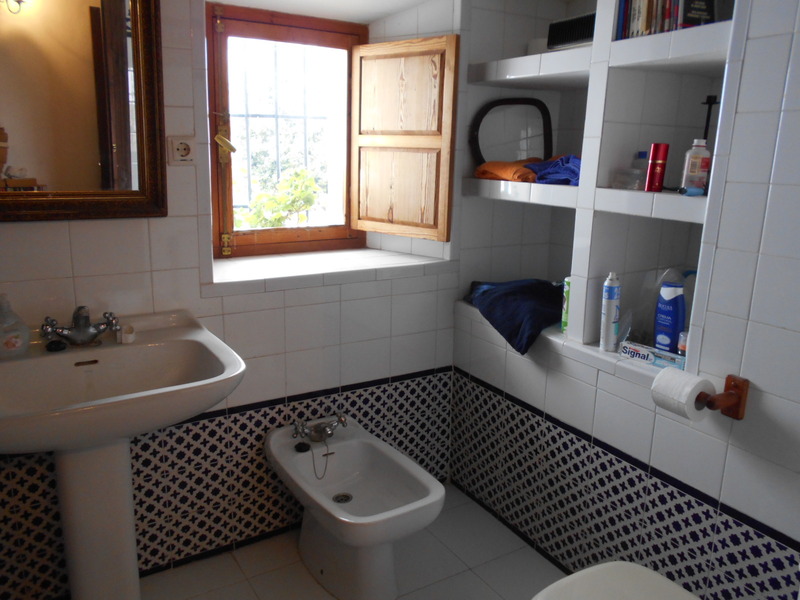 A shower room and steps down to a double bedroom with low ceiling and feature understairs. 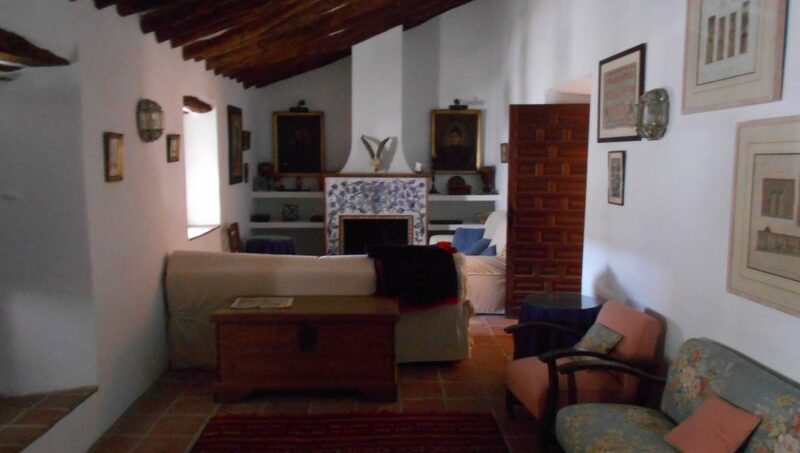 On the first floor is a long living room with open space, portraits and comfy seating and off here are 2 further bedrooms and a good sized bathroom, all with windows overlooking the walled garden, the village and the mountains. 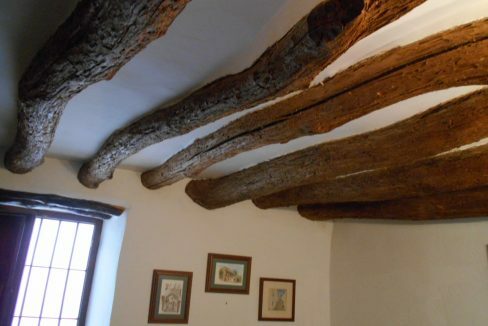 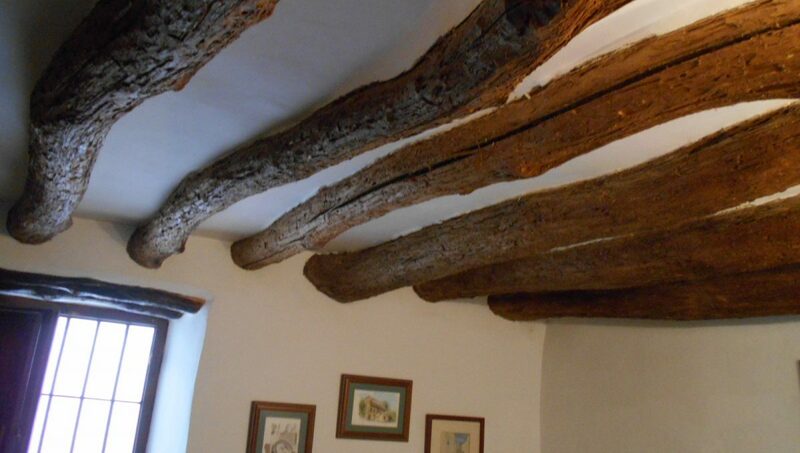 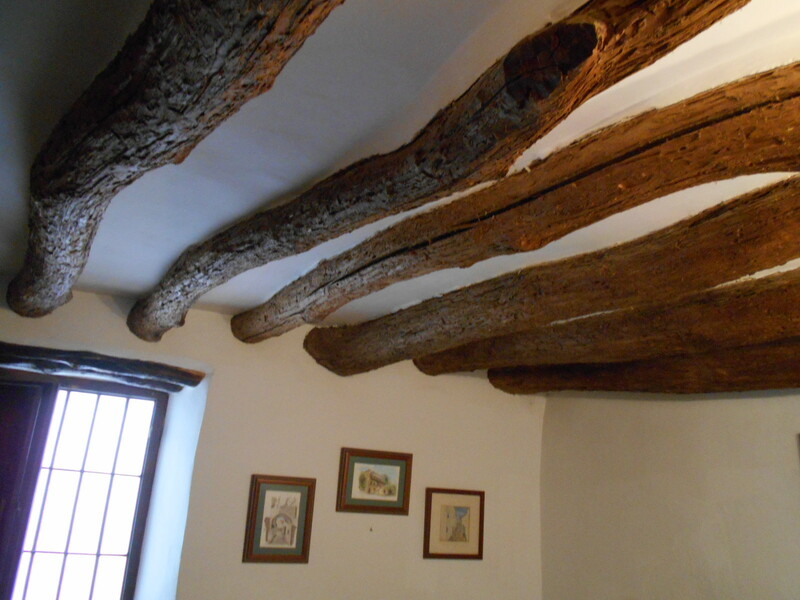 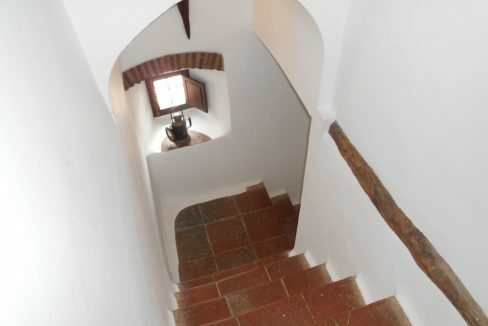 The whole first floor are apexed beamed ceilings, a lovely feature. 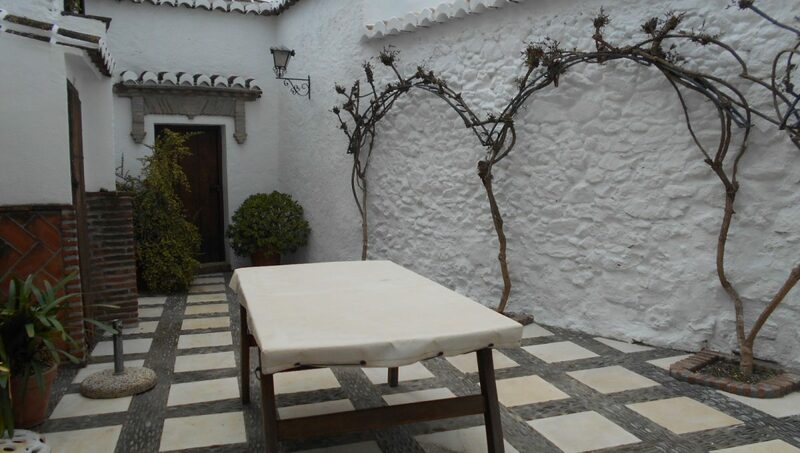 From the dining area doors open into an enclosed courtyard across which is the entrance to the high walled and very private garden with 6 x 4 m pool. 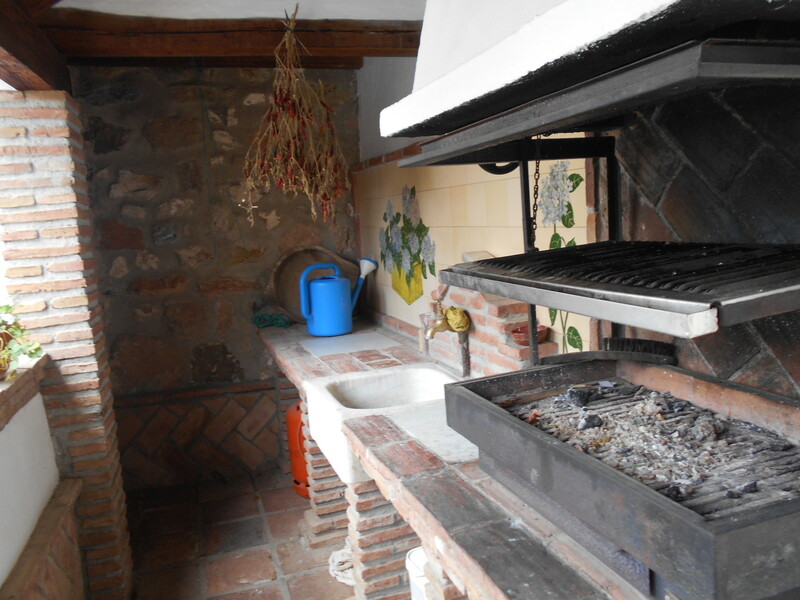 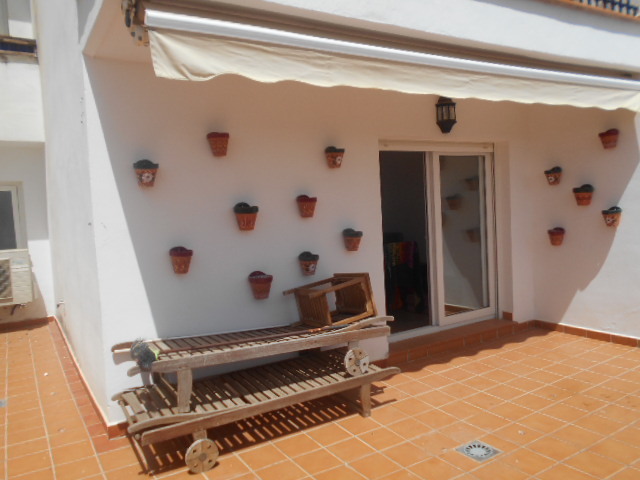 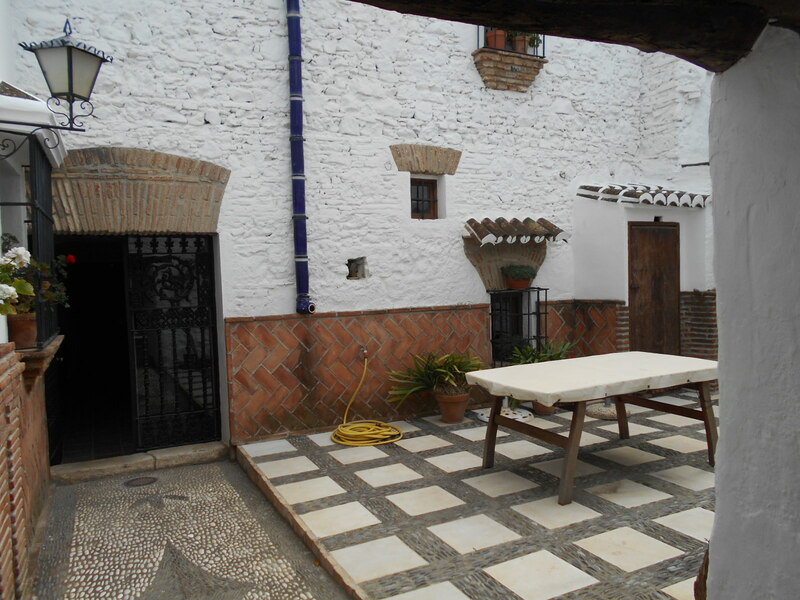 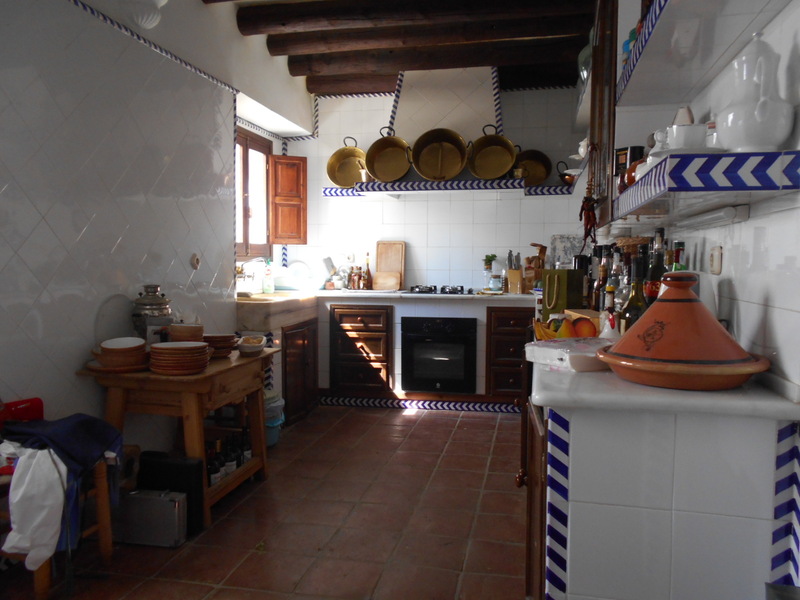 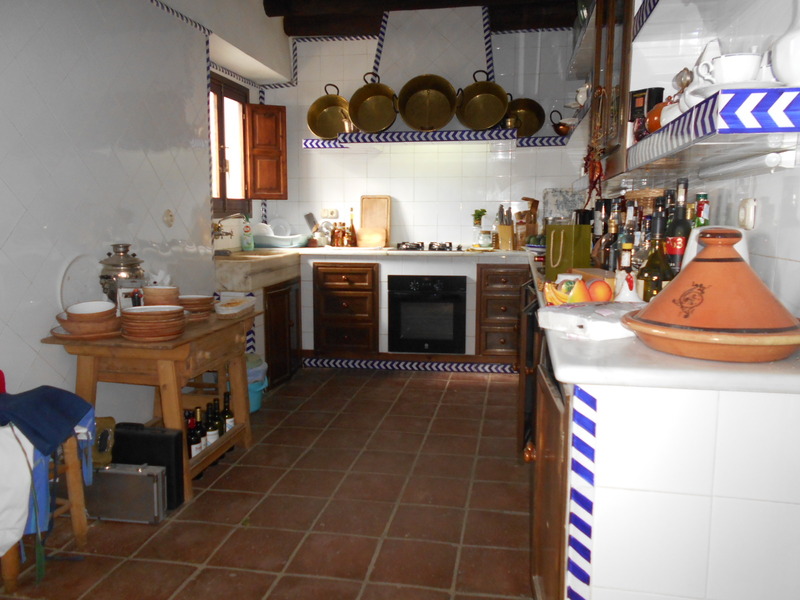 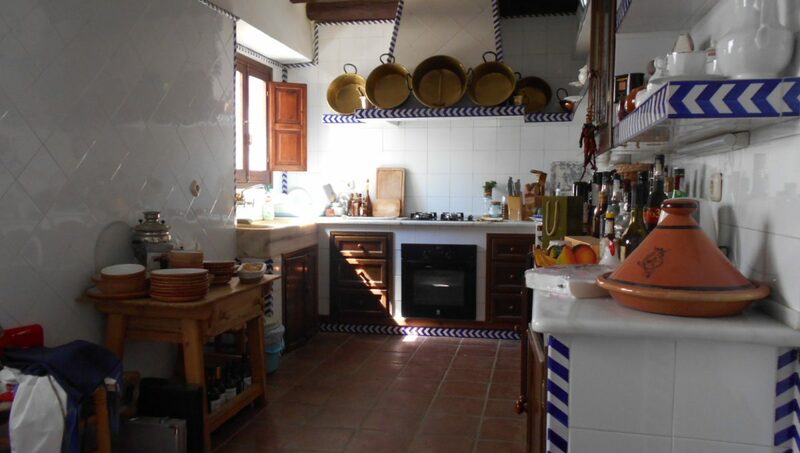 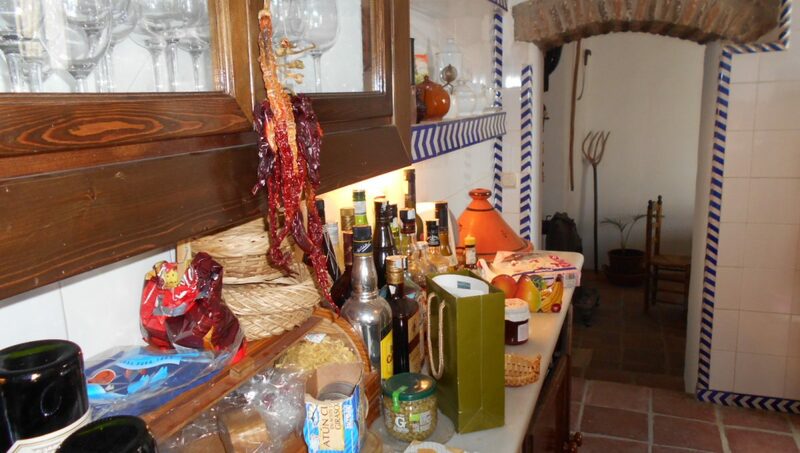 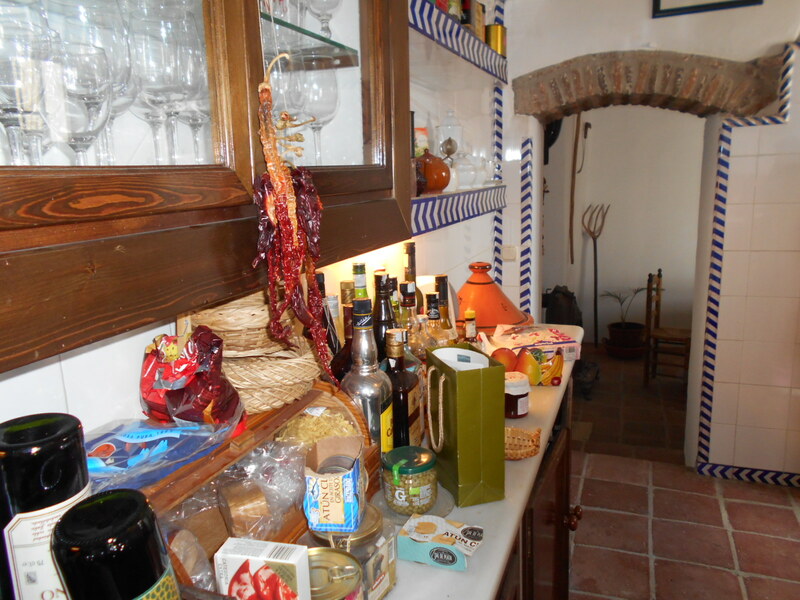 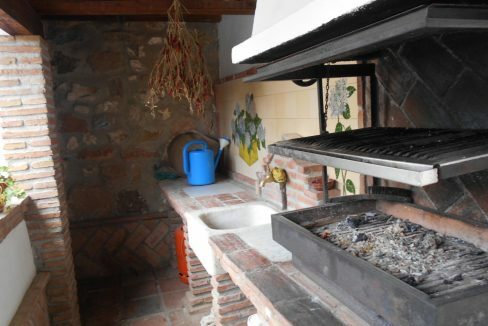 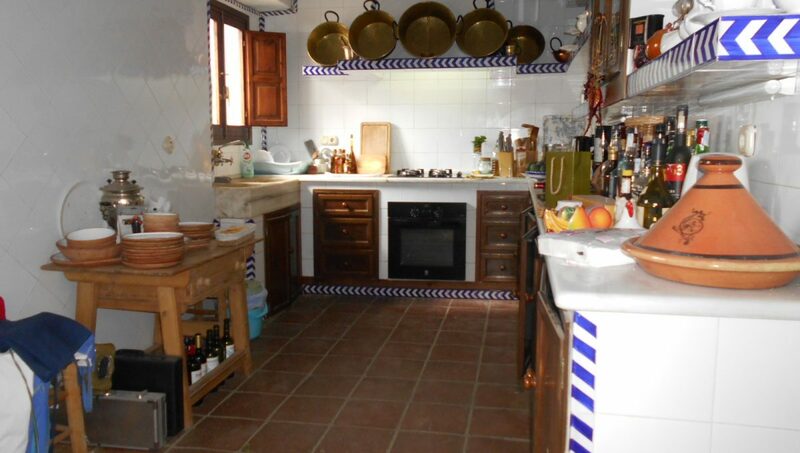 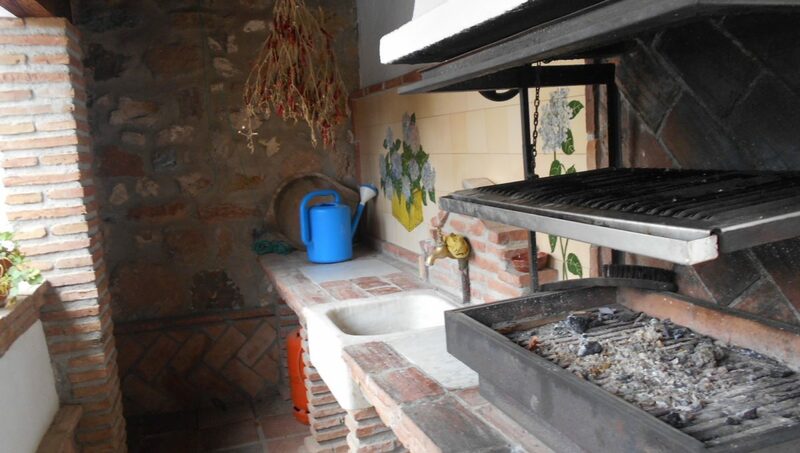 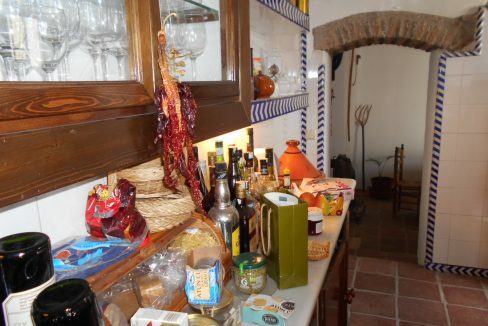 Under the roof of the covered terrace is a professional barbeque, kitchenette and sink with laundry area. 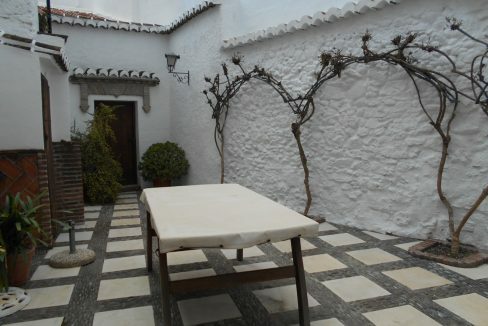 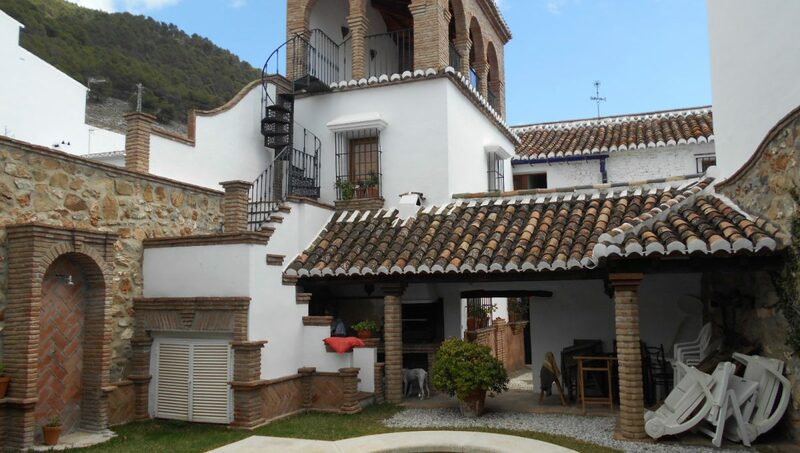 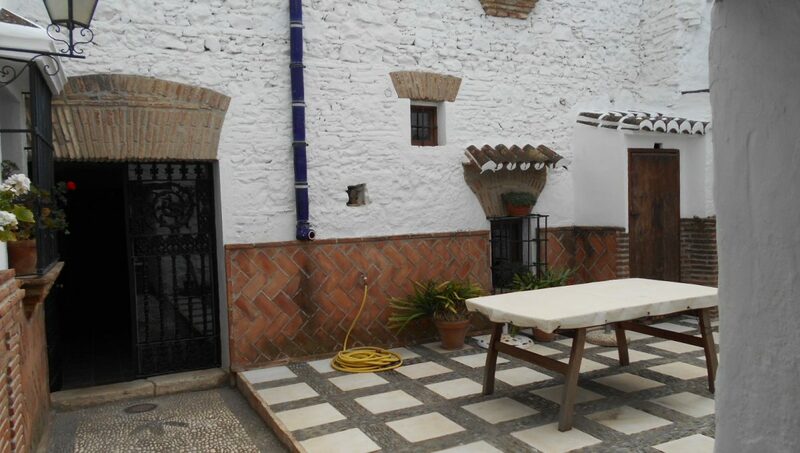 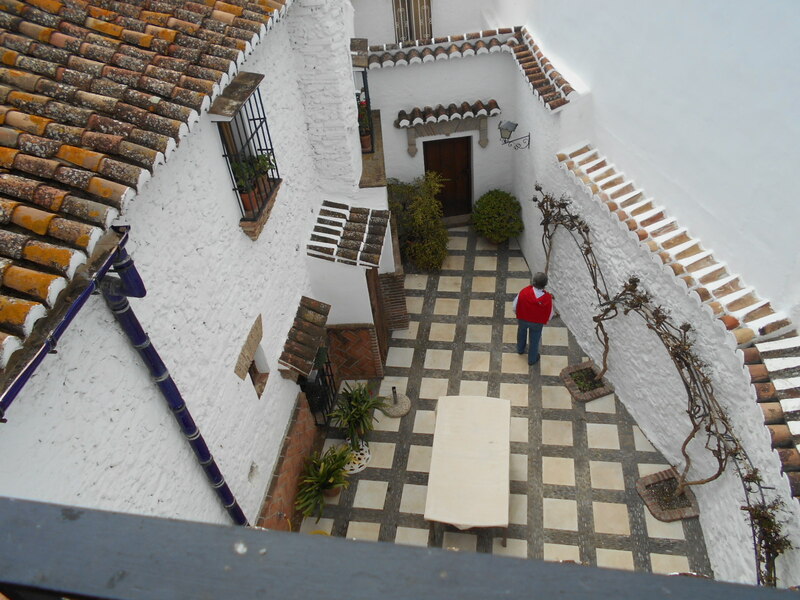 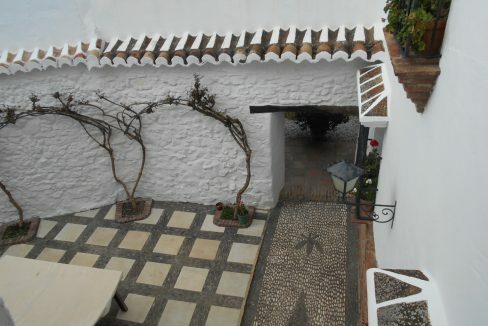 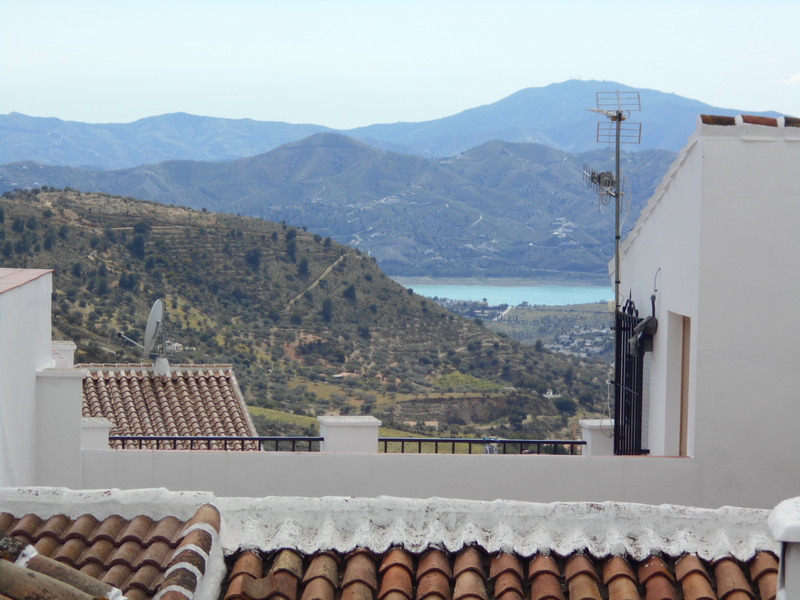 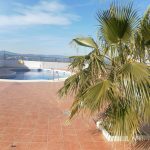 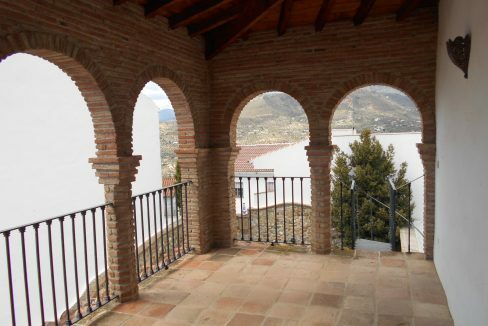 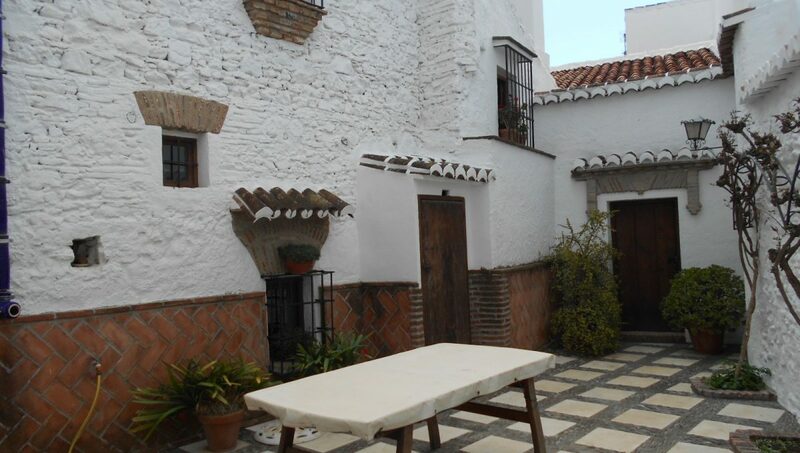 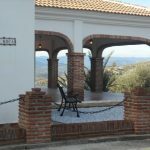 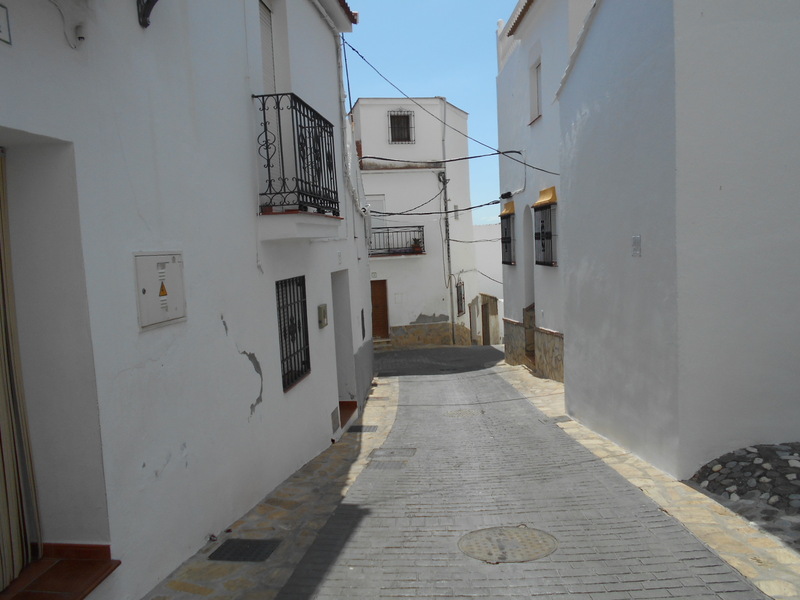 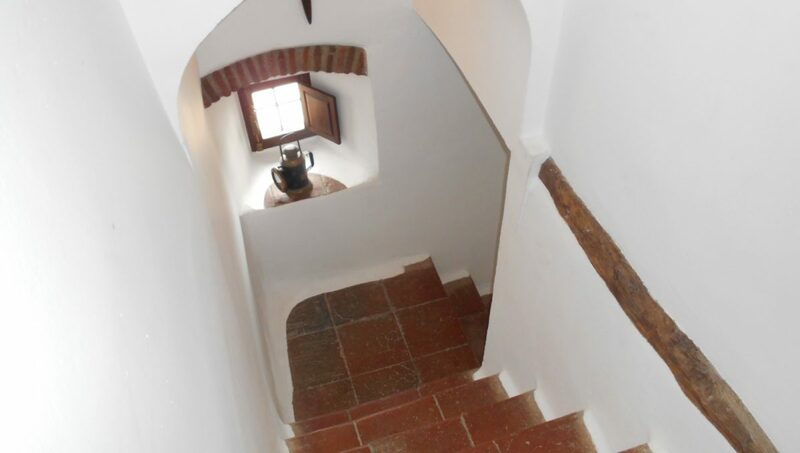 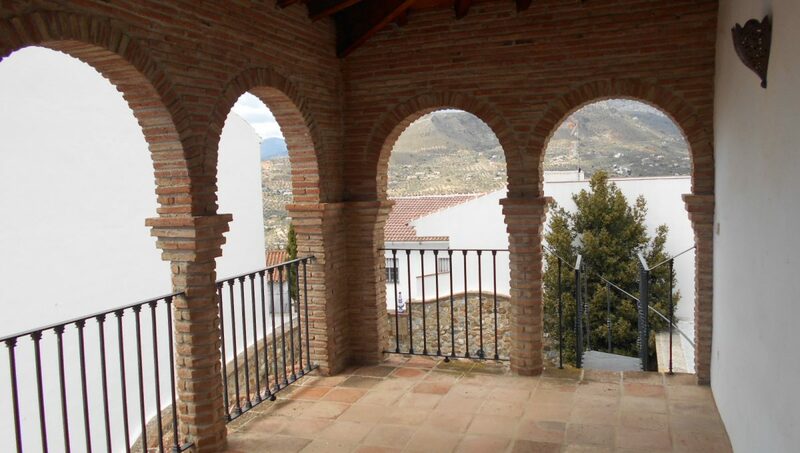 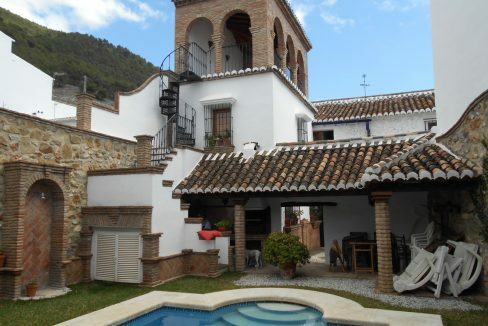 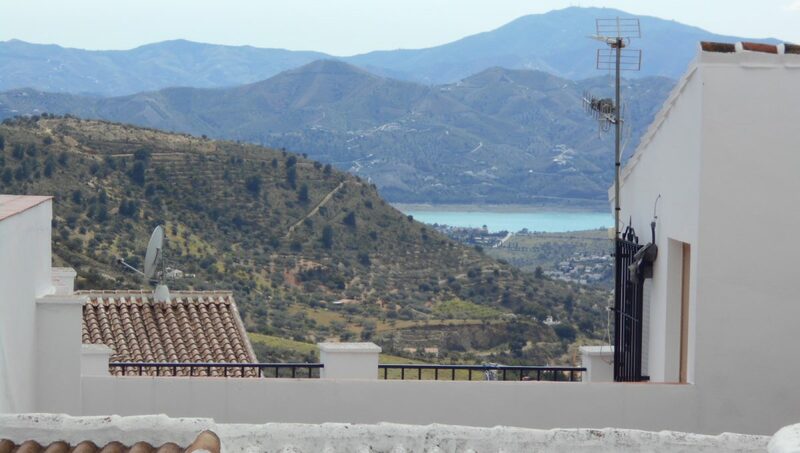 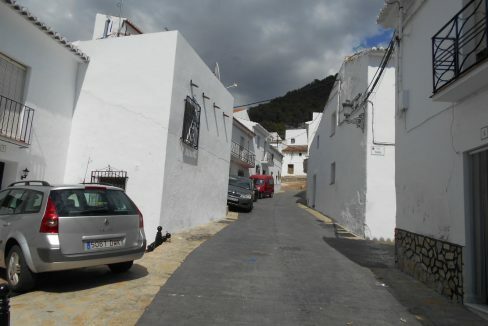 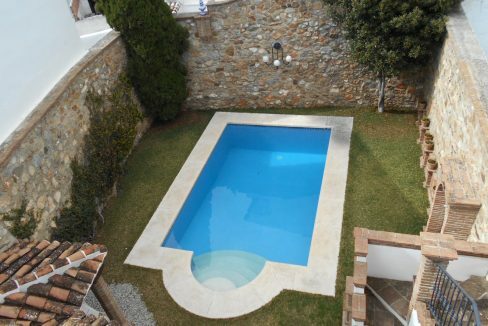 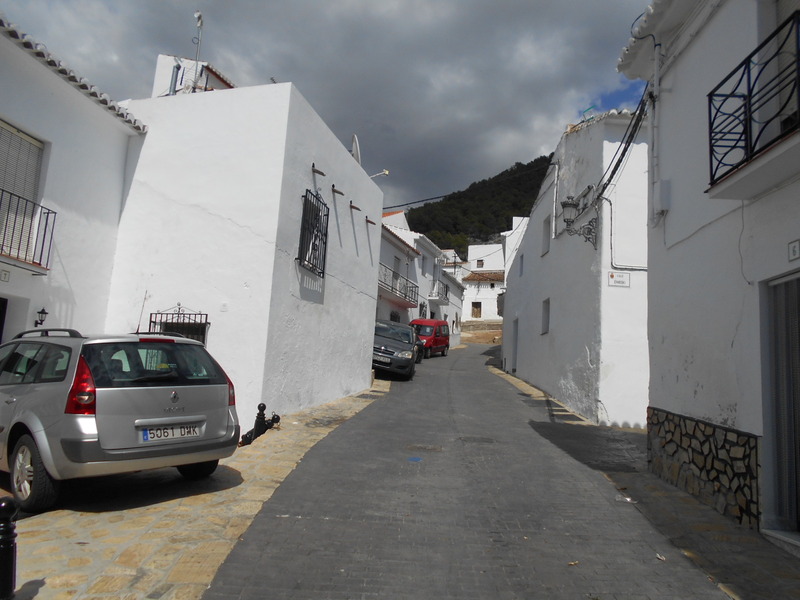 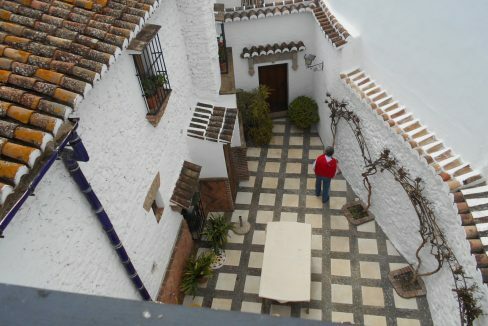 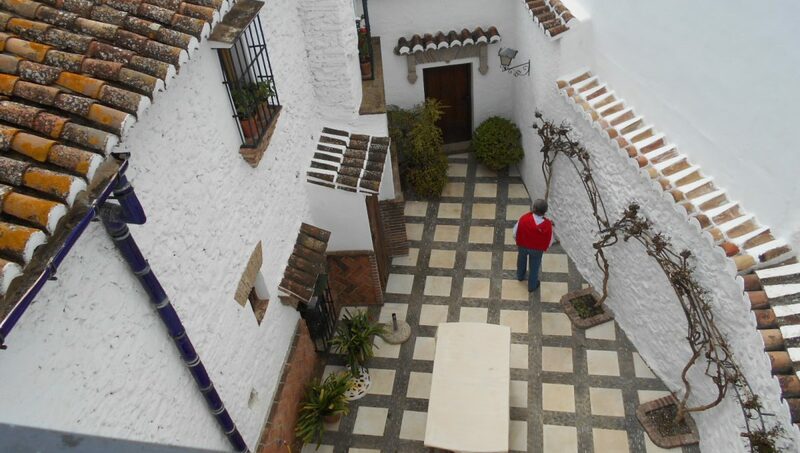 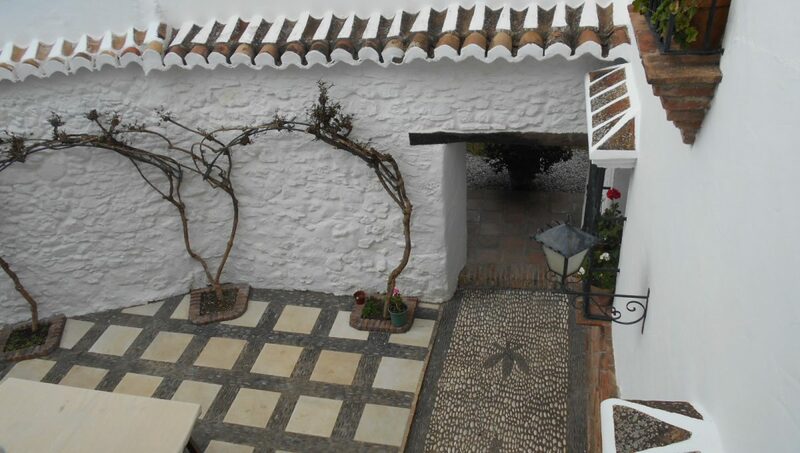 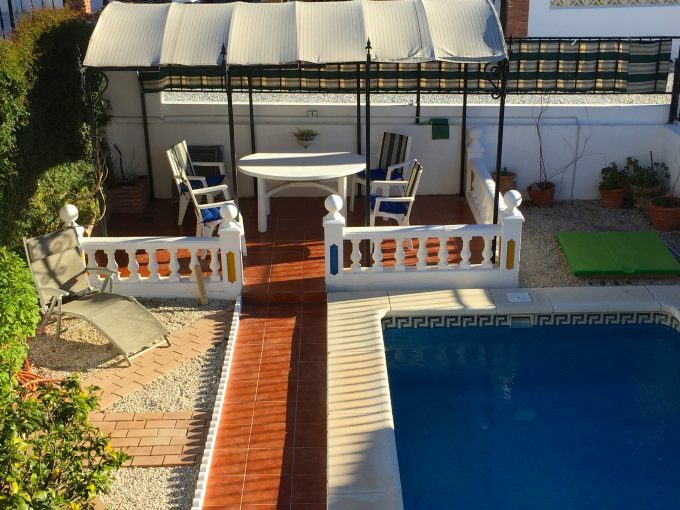 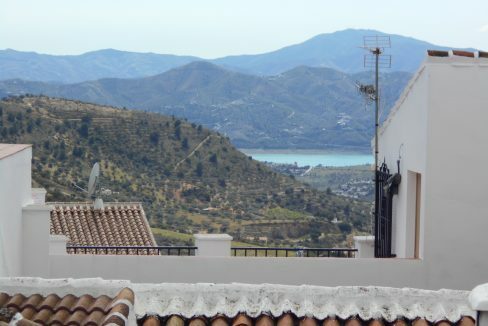 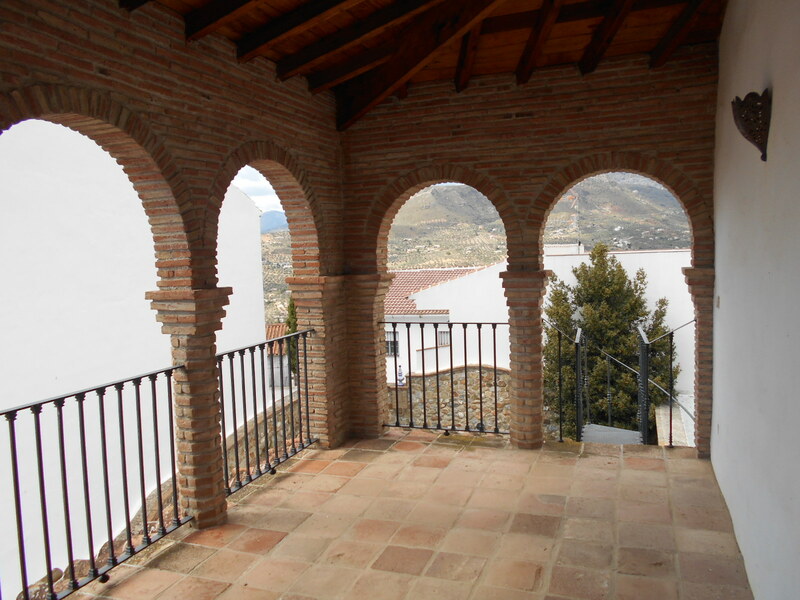 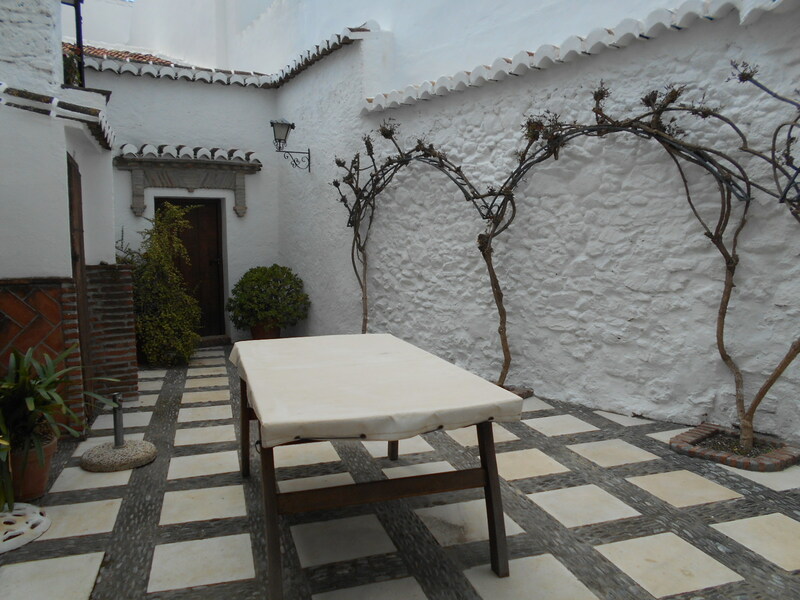 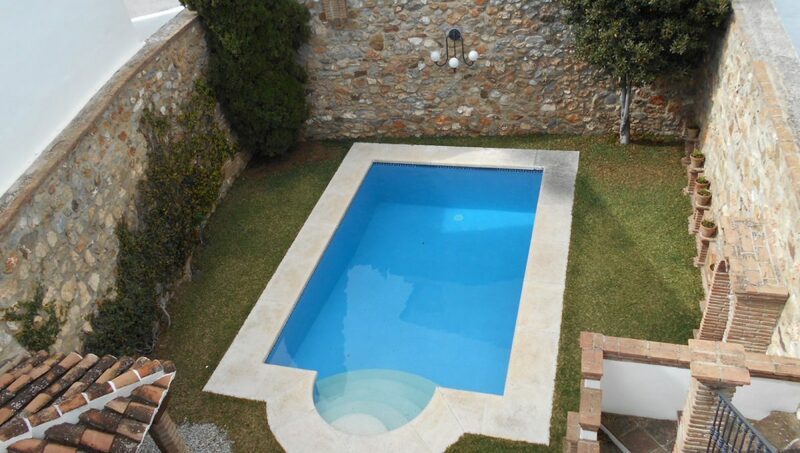 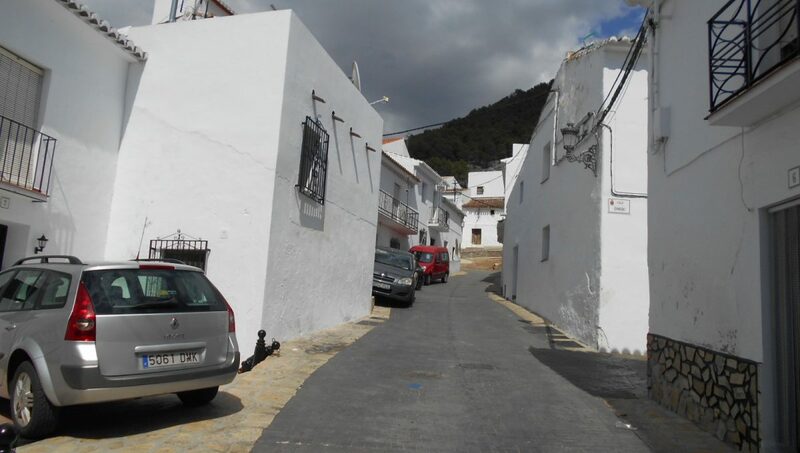 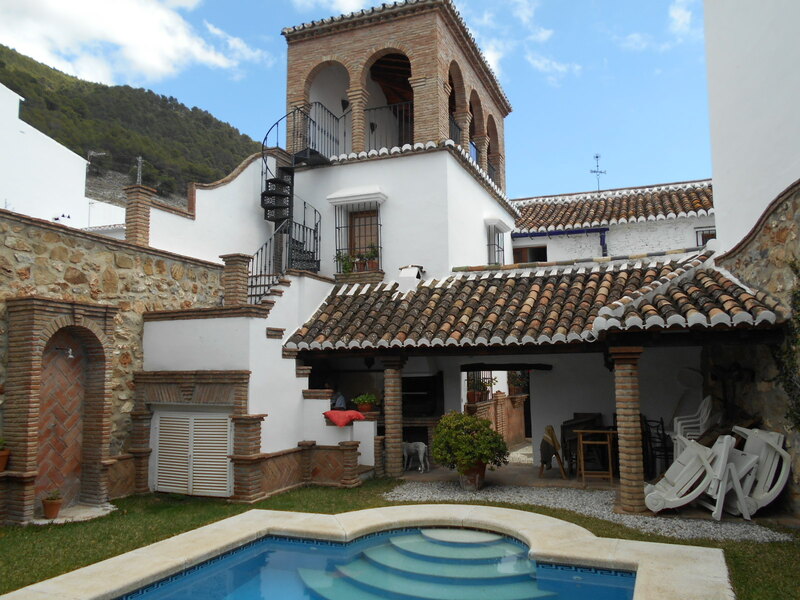 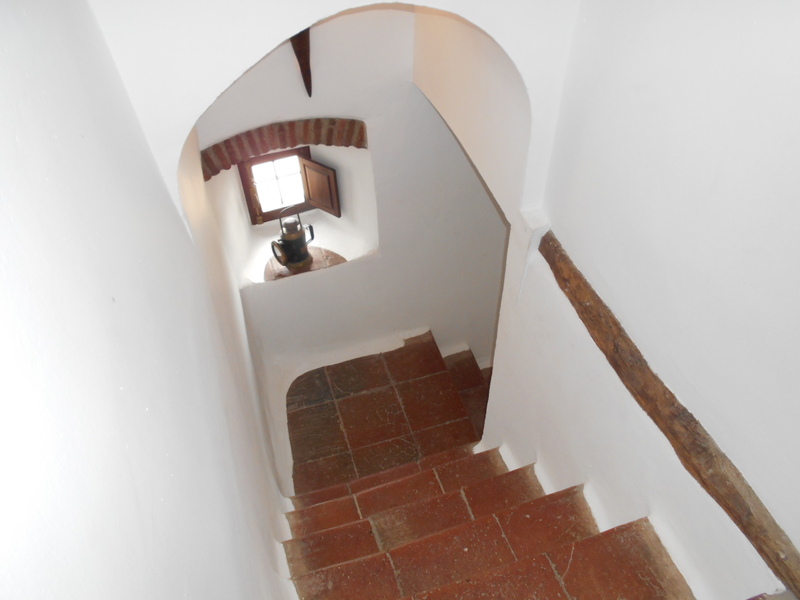 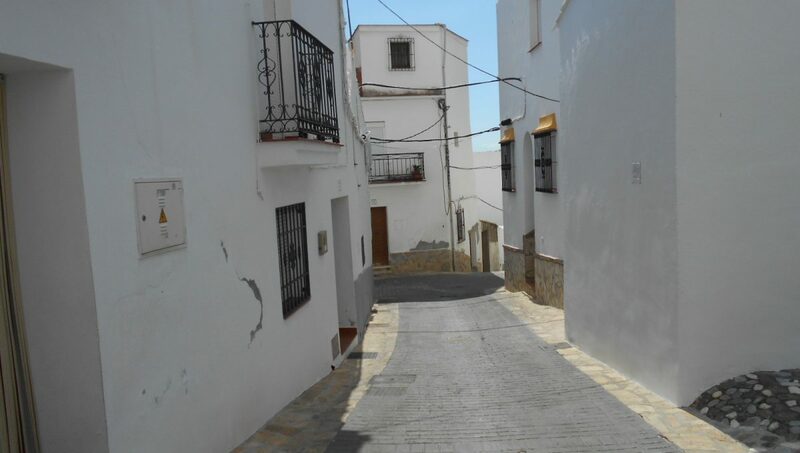 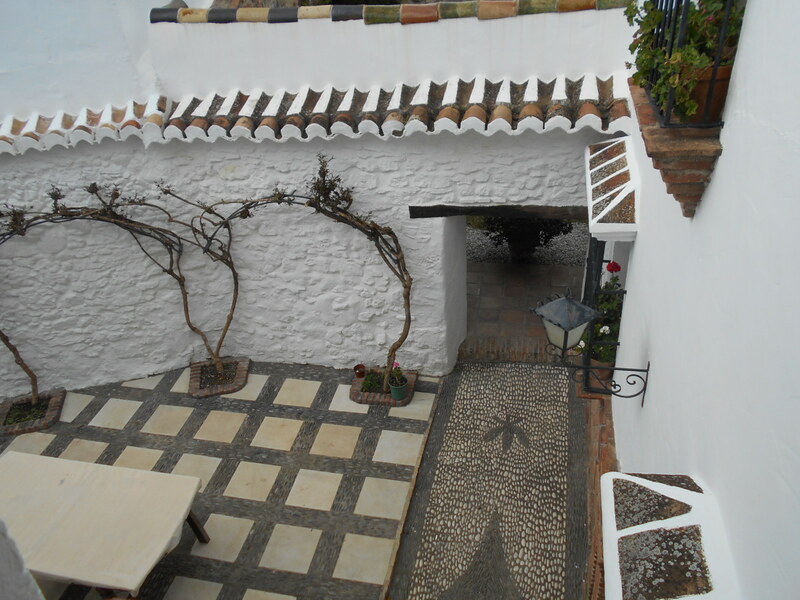 At the side of the garden stairs lead up to a covered mirador and roof terrace which has wonderful views of the village below as well as the hills and mountains of the Axarquia countryside. 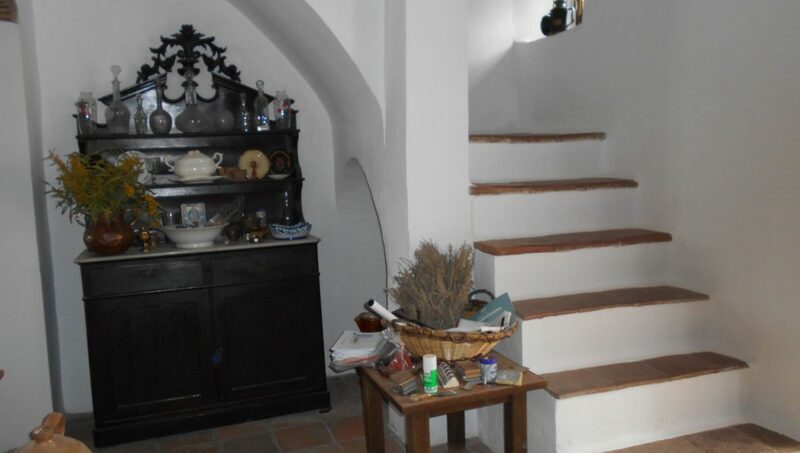 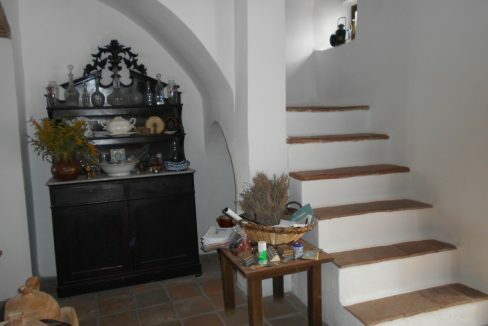 There is no banister on the stairs to the first floor, which makes it unsuitable for young children and elderly. 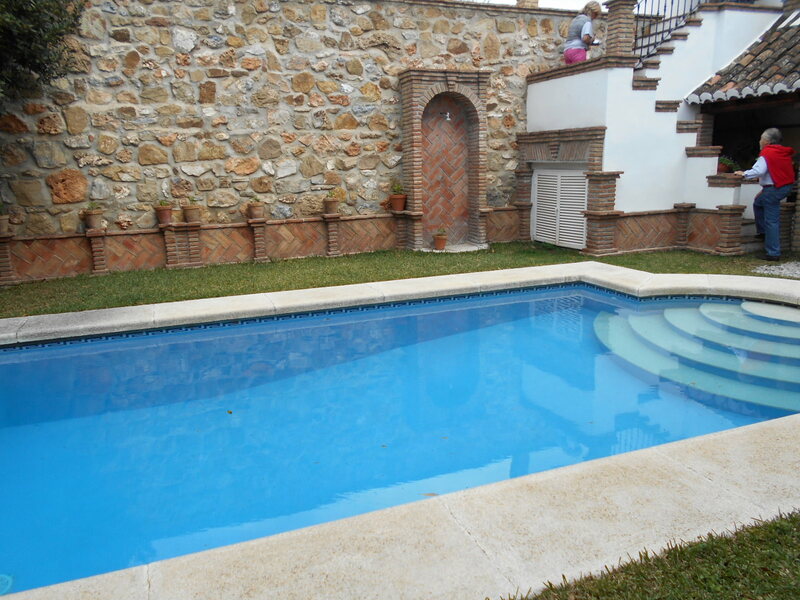 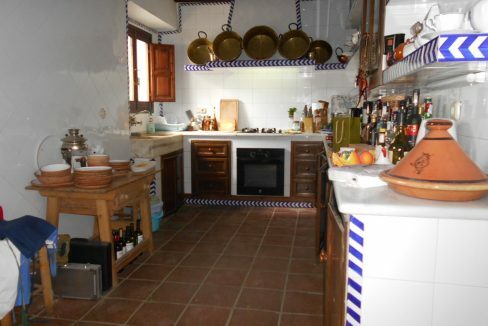 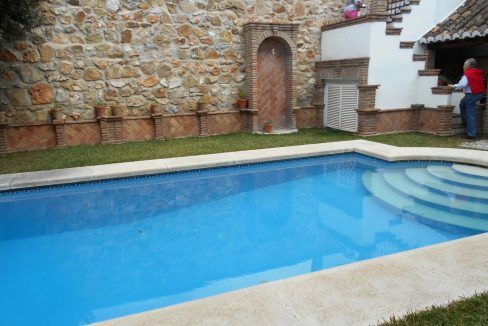 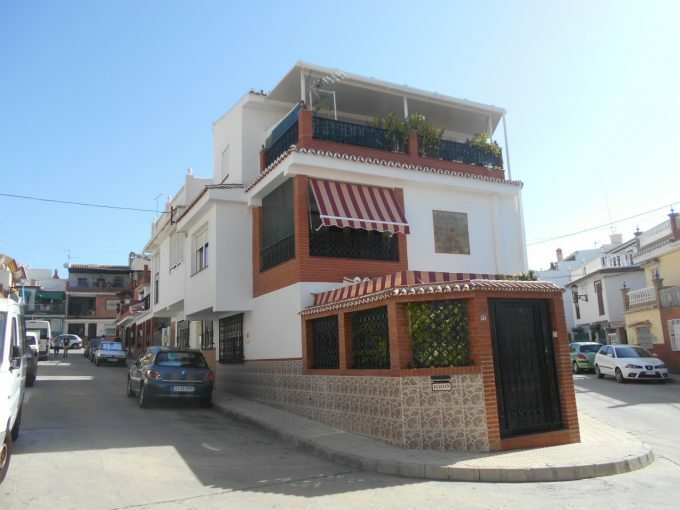 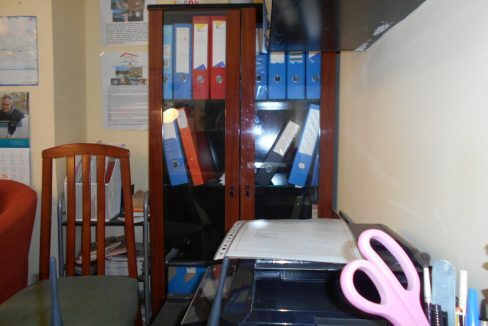 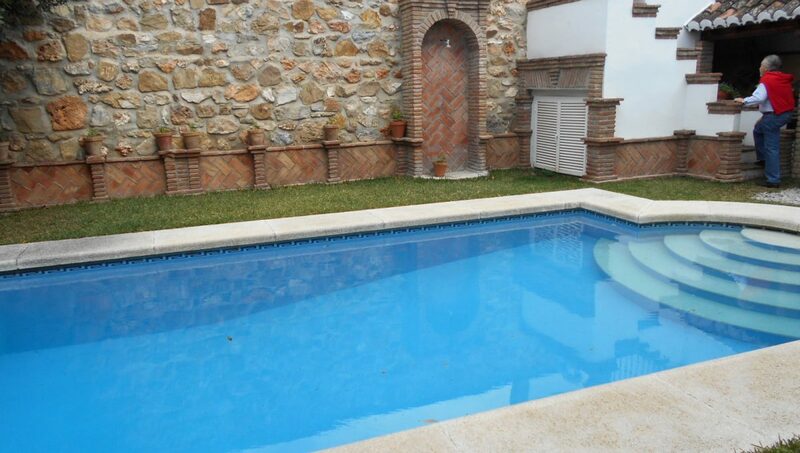 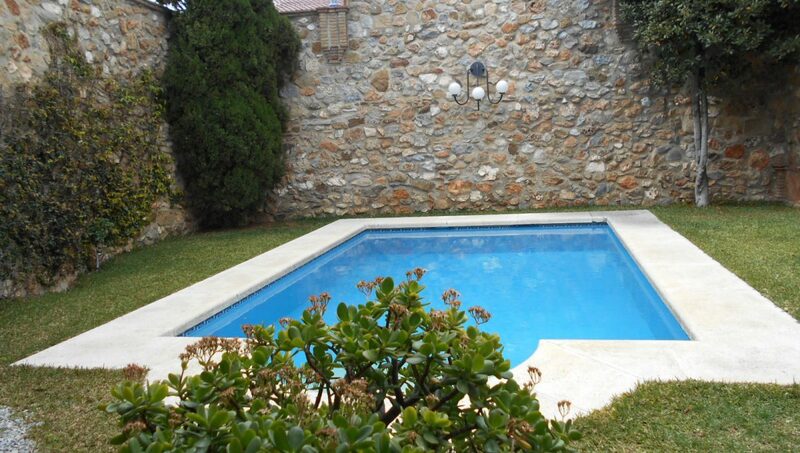 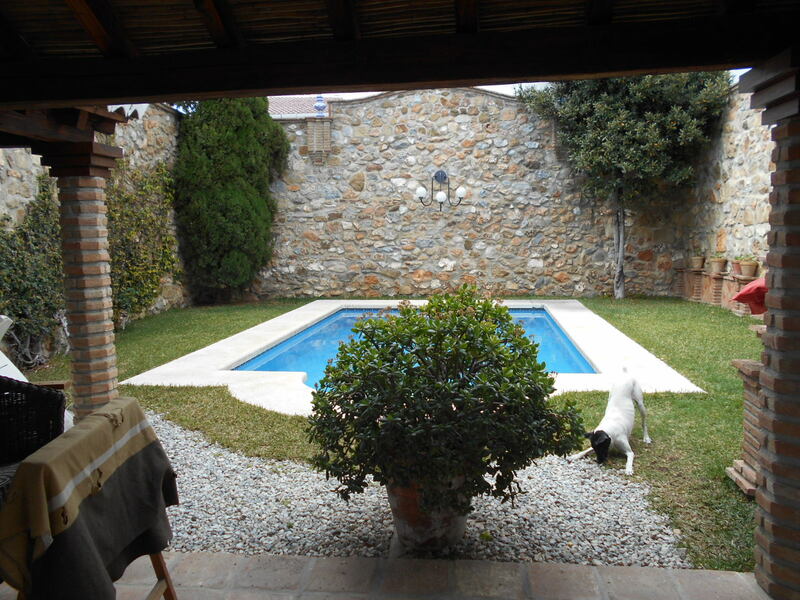 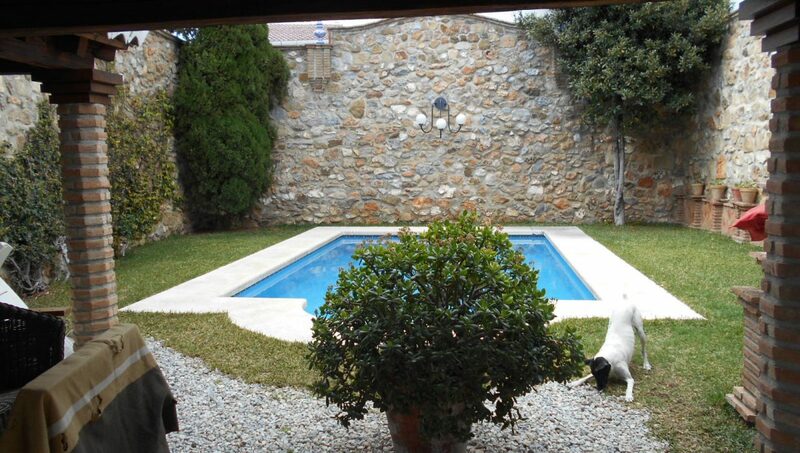 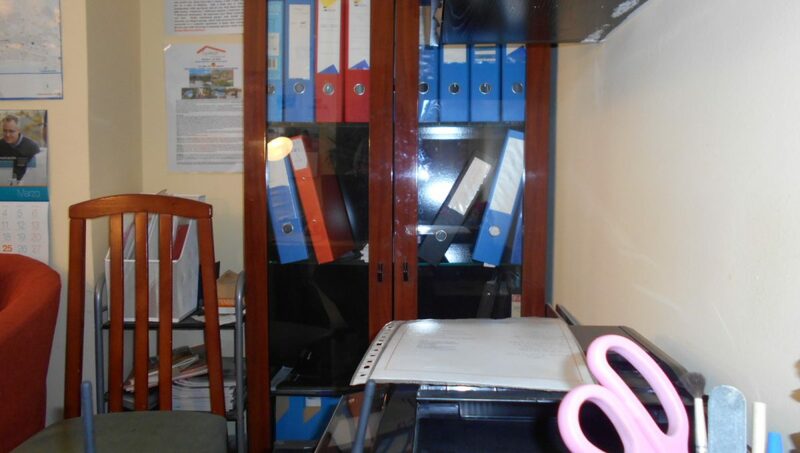 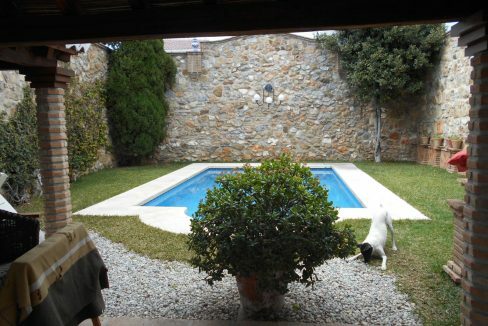 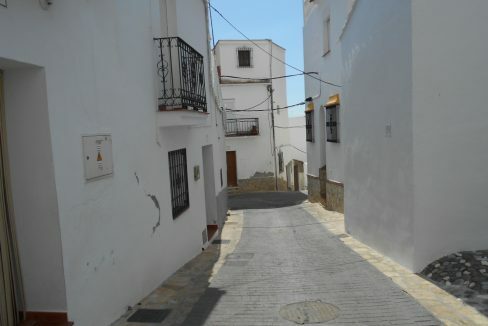 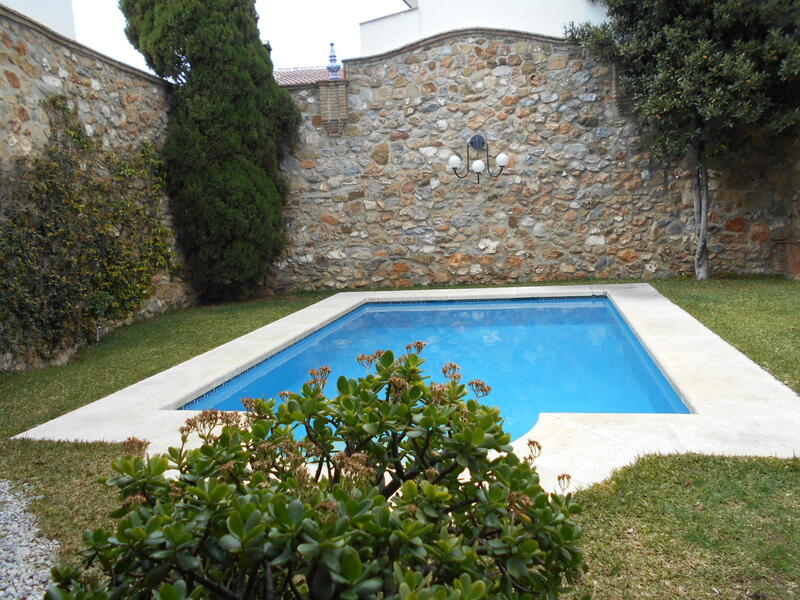 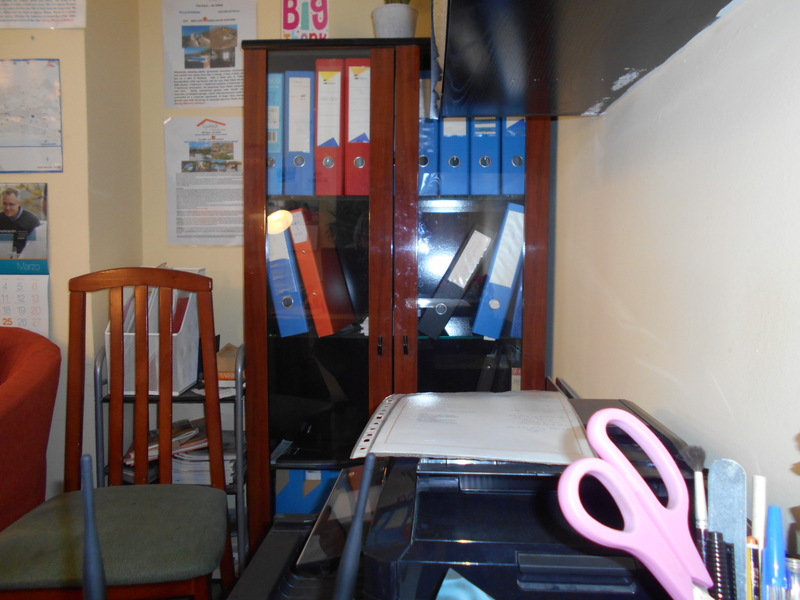 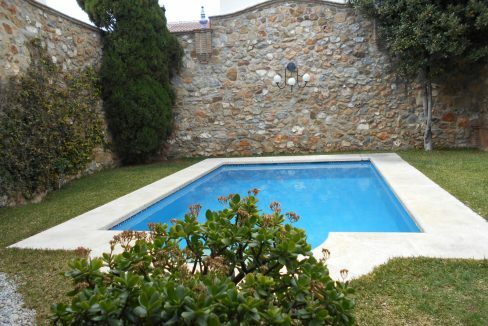 Property is set in a quite private location, within walking distance to the shops and restaurants. 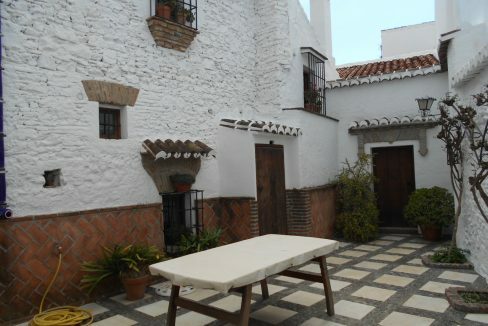 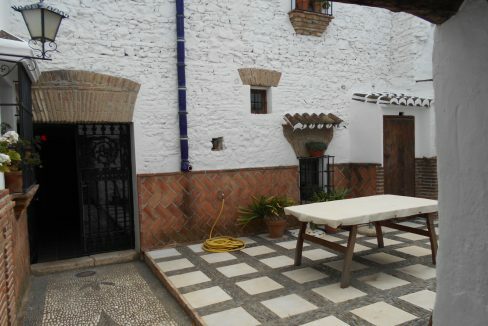 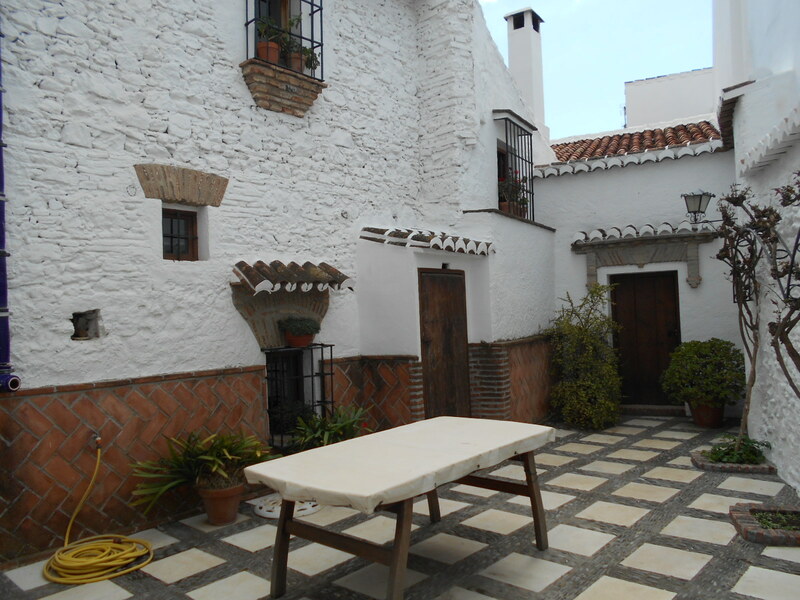 Roof terrace, guest apartment, possible office and large storeroom. 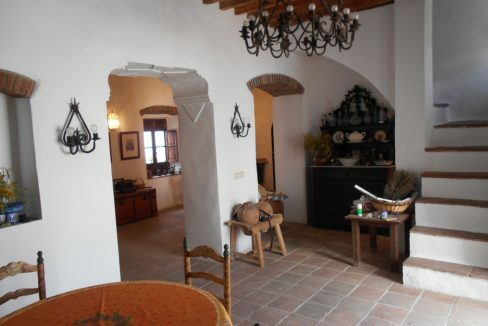 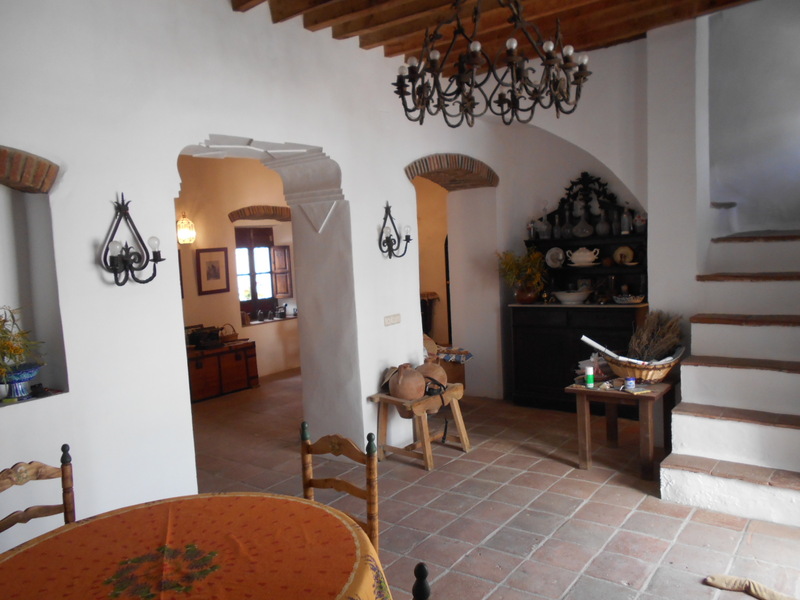 Lots of house and many seating, living and dining areas.